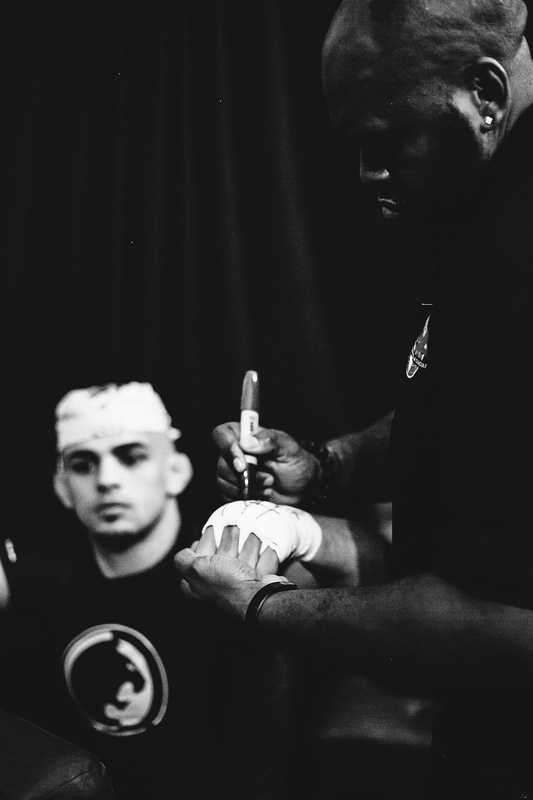 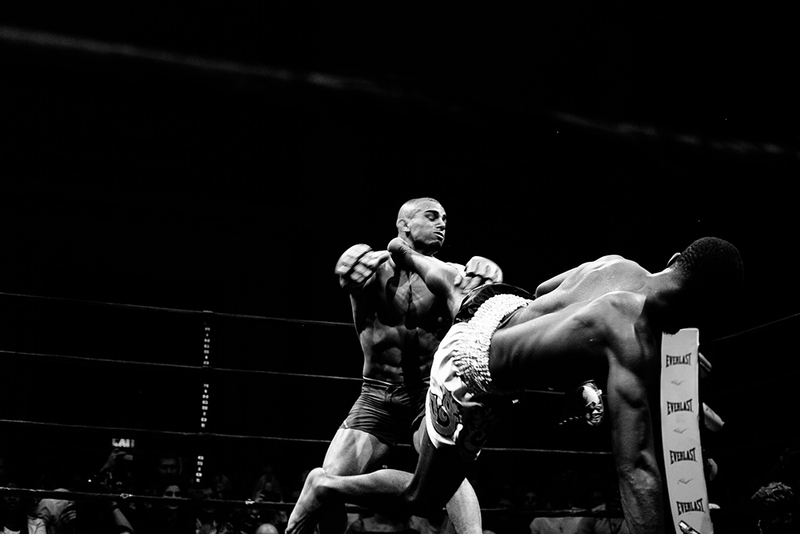 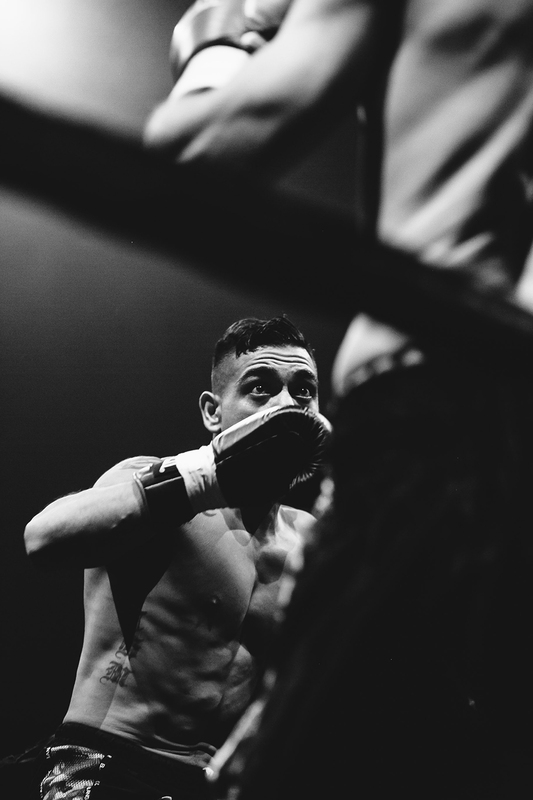 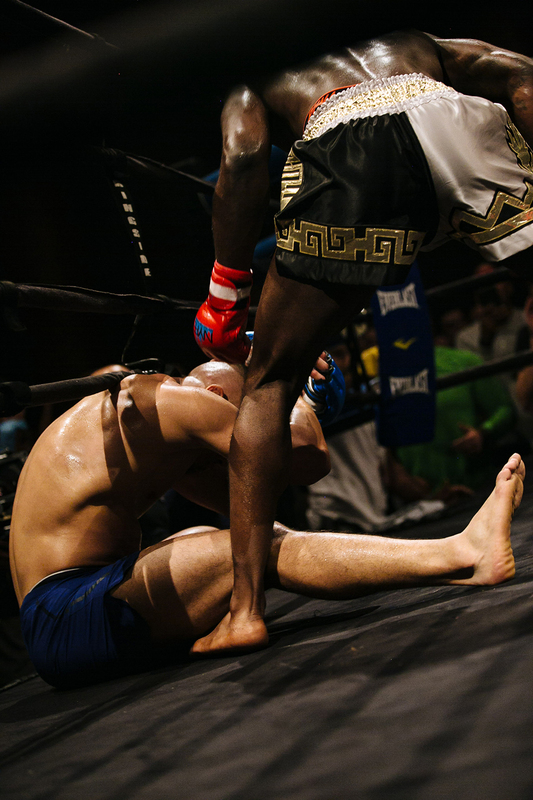 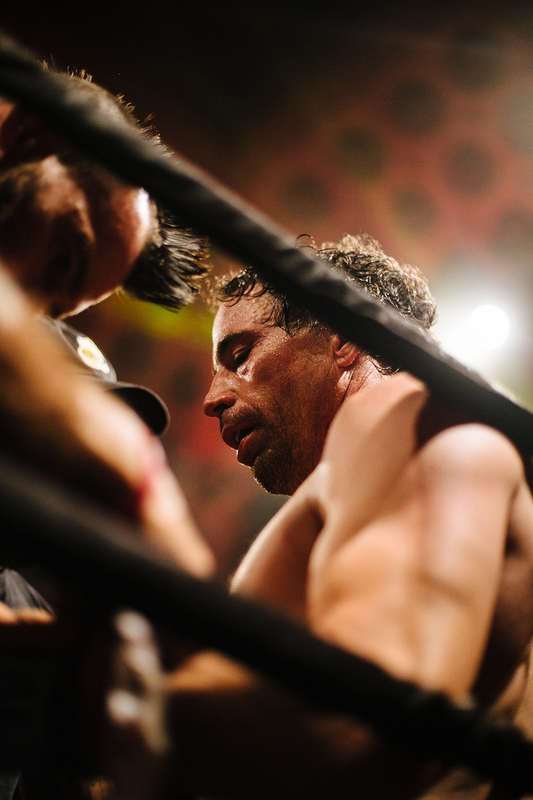 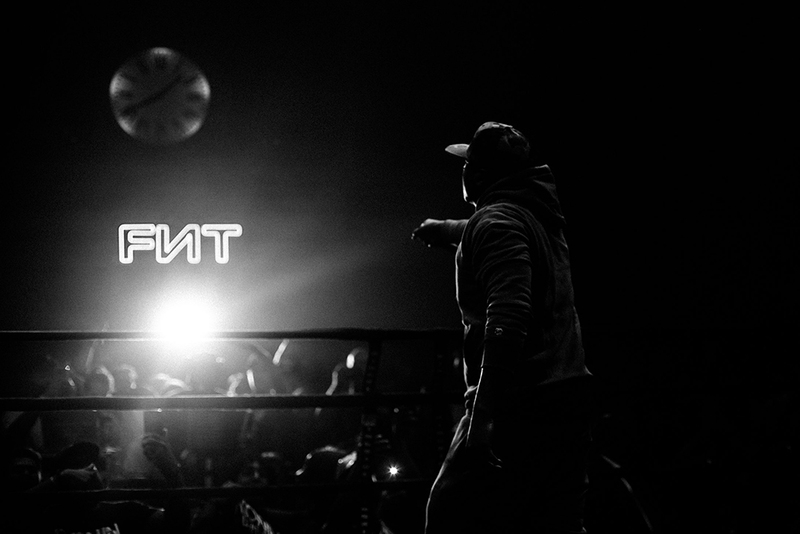 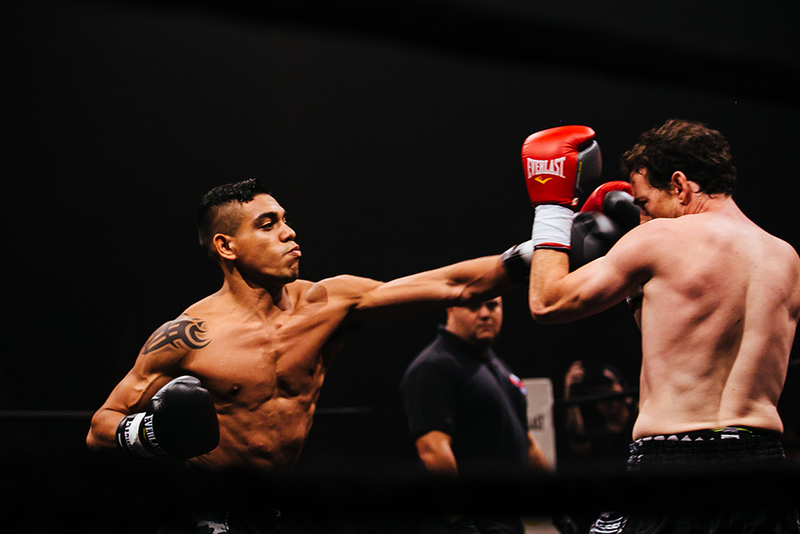 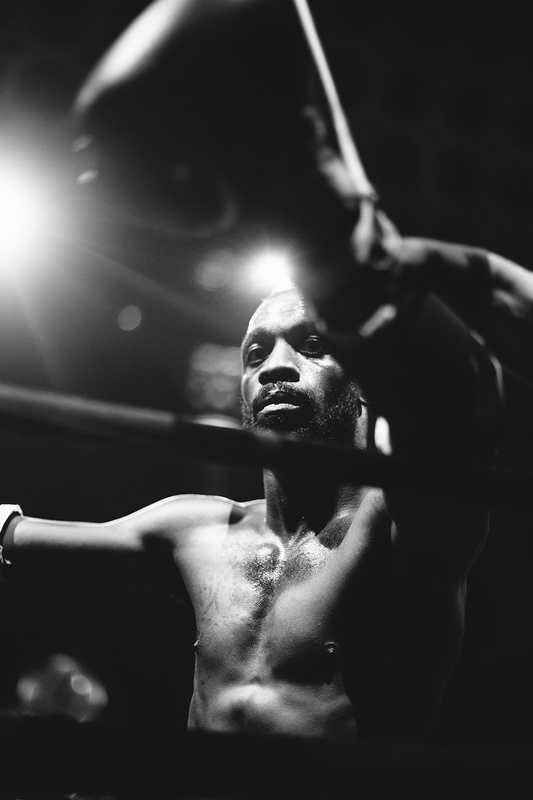 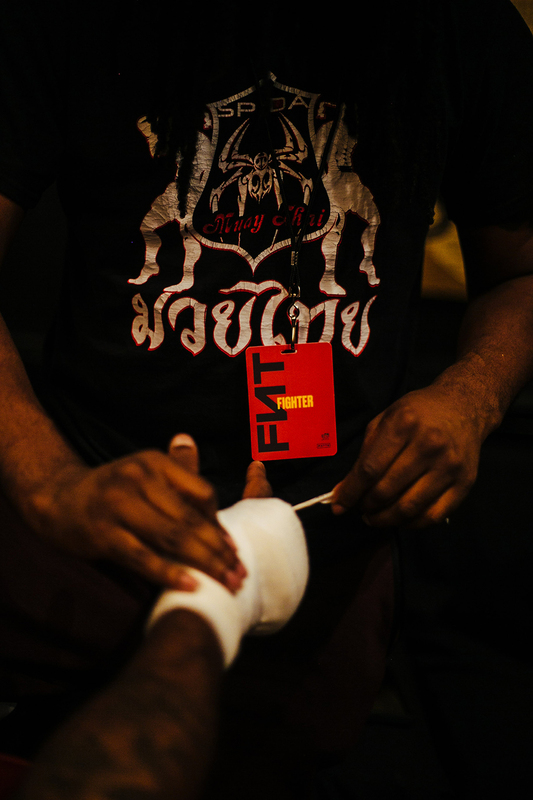 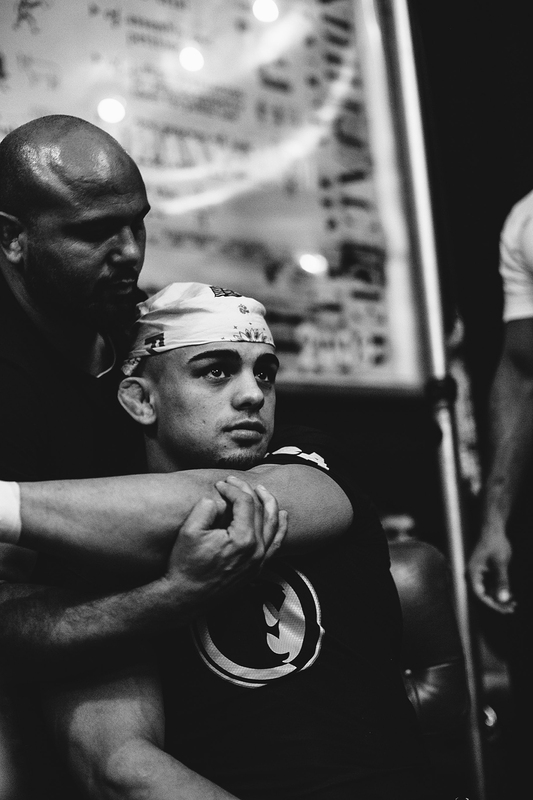 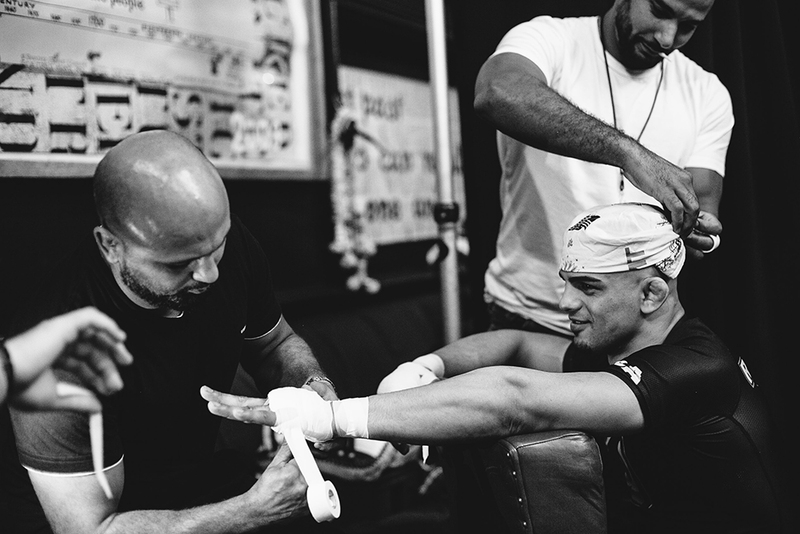 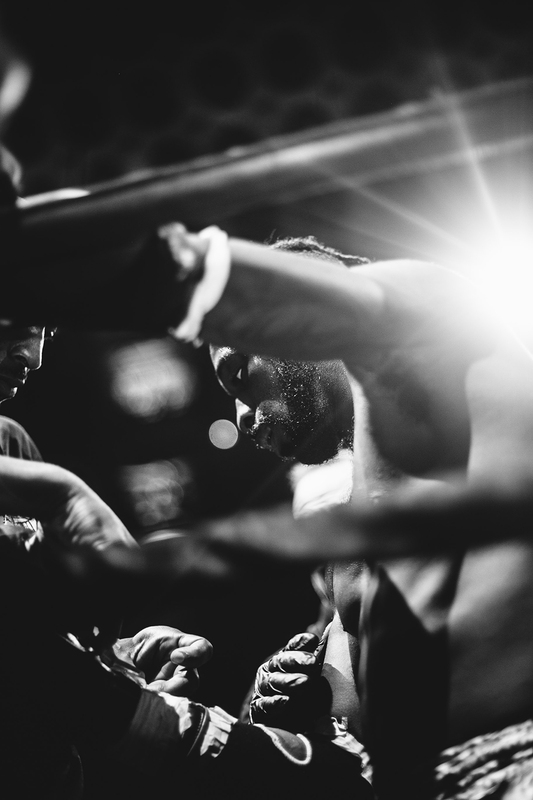 The attitude era of combat sports is here — and FNT is at the center of it. 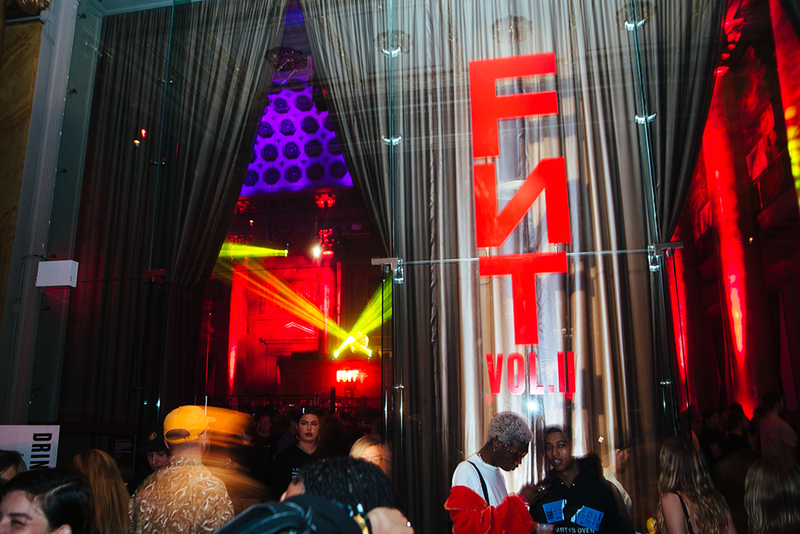 FNT (formerly, Friday Night Throwdown) alongside MATTE Projects, Mike Washington and NYFE held vol. 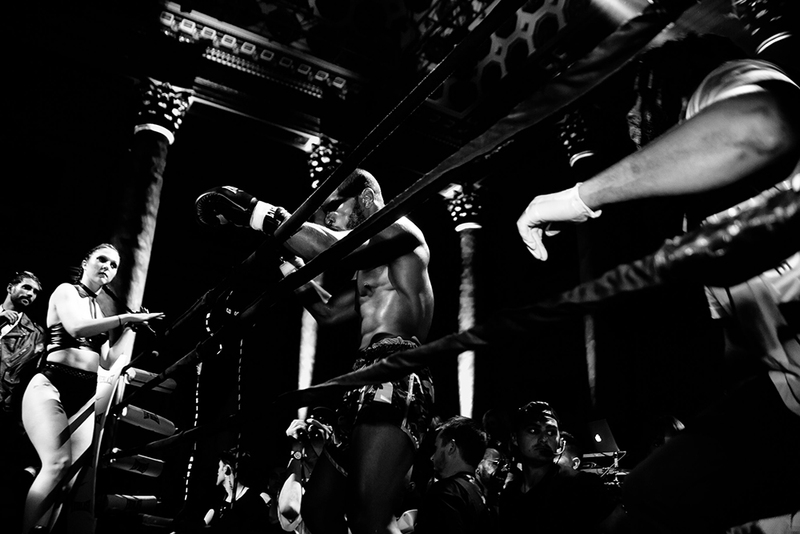 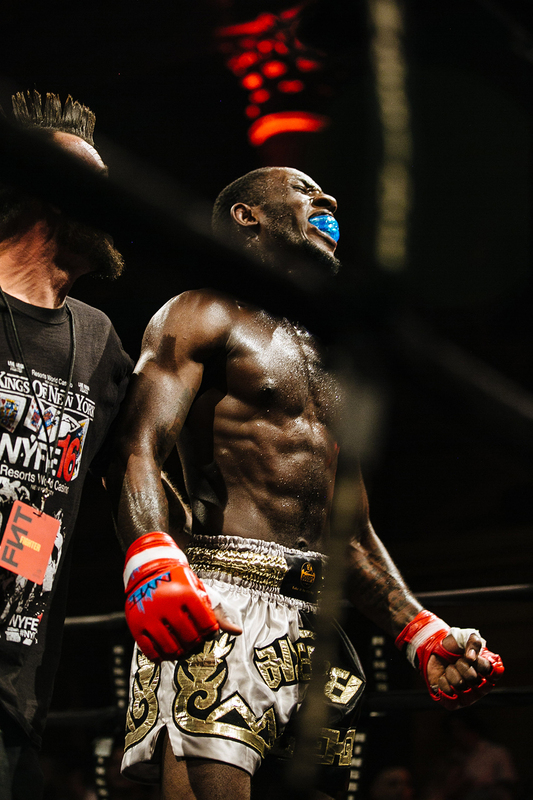 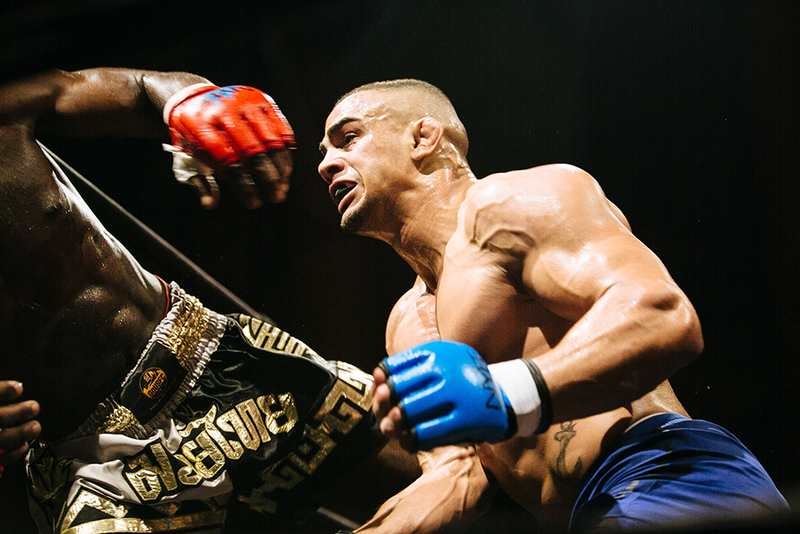 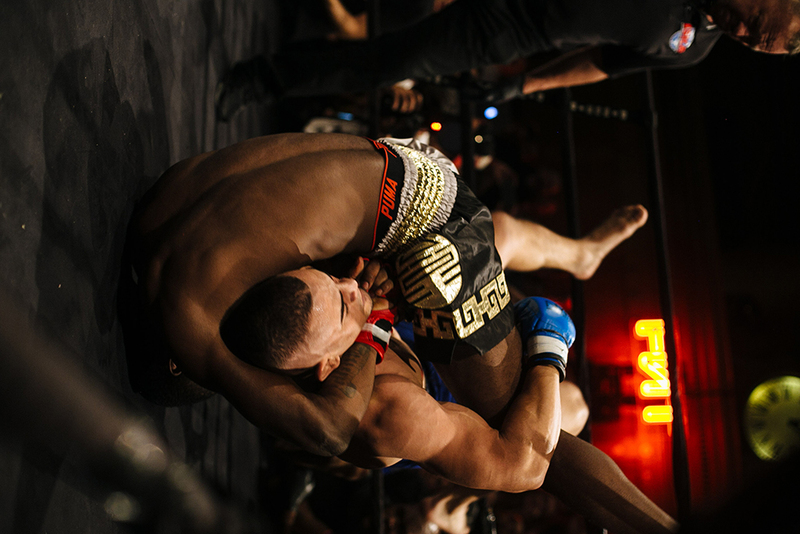 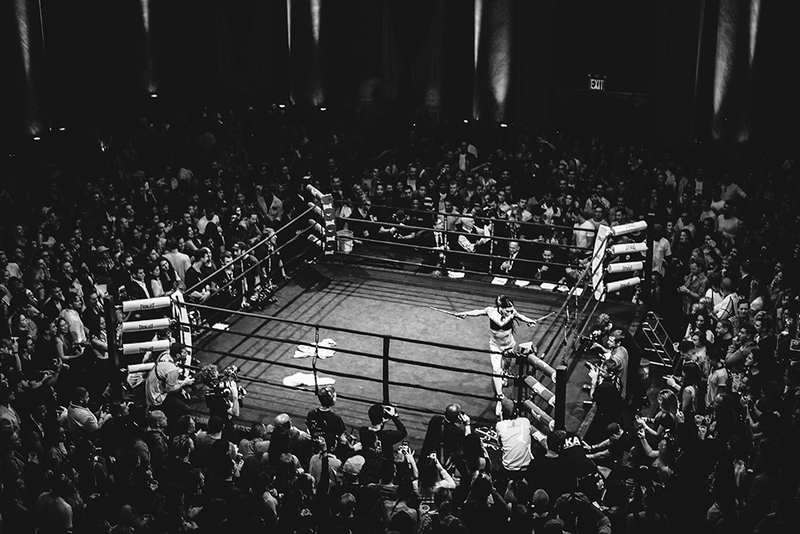 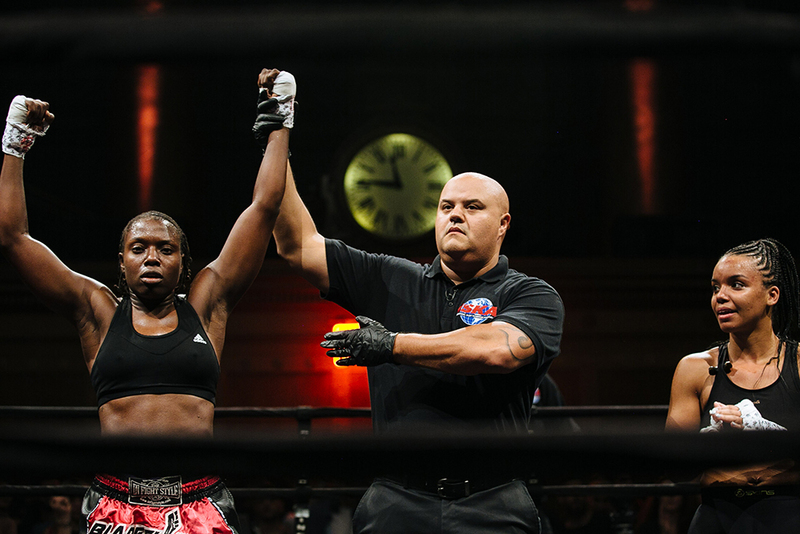 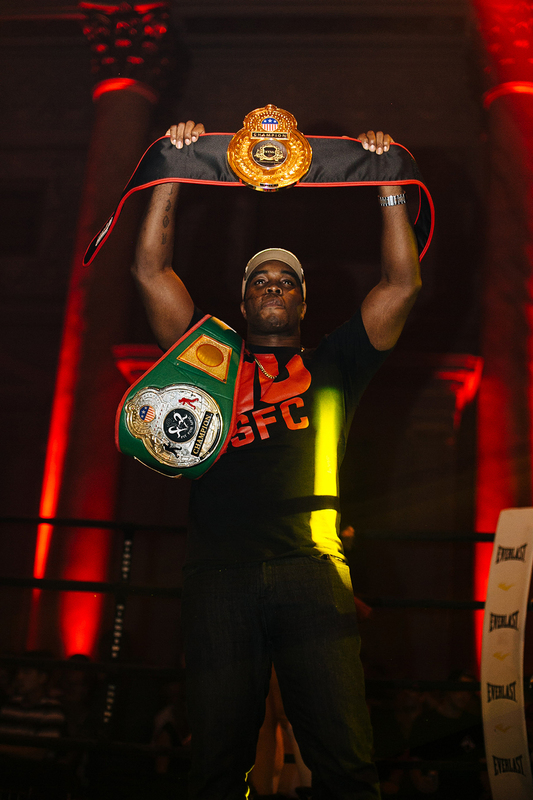 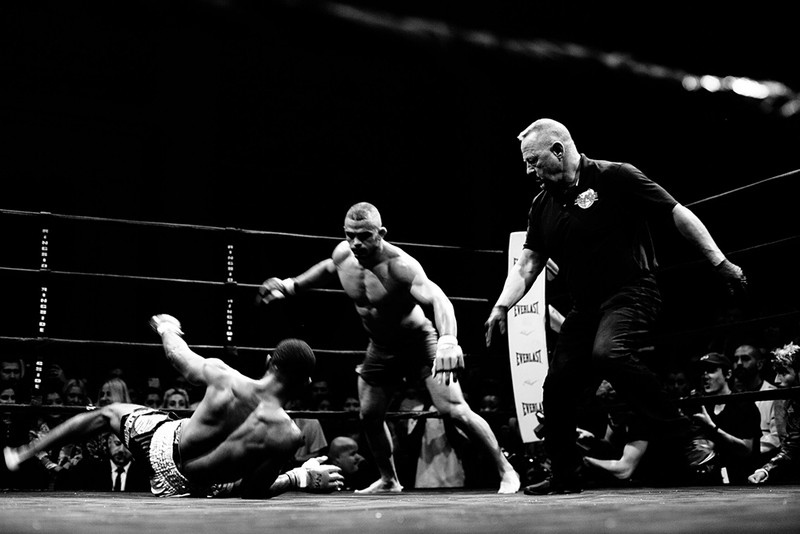 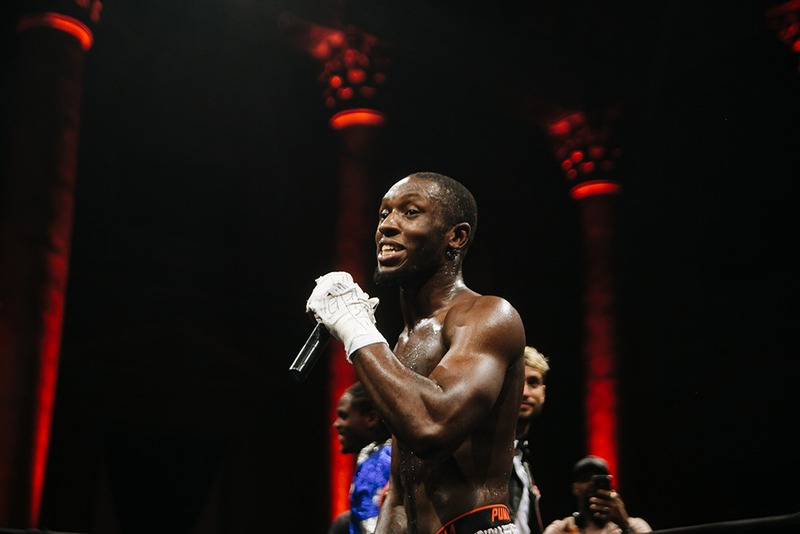 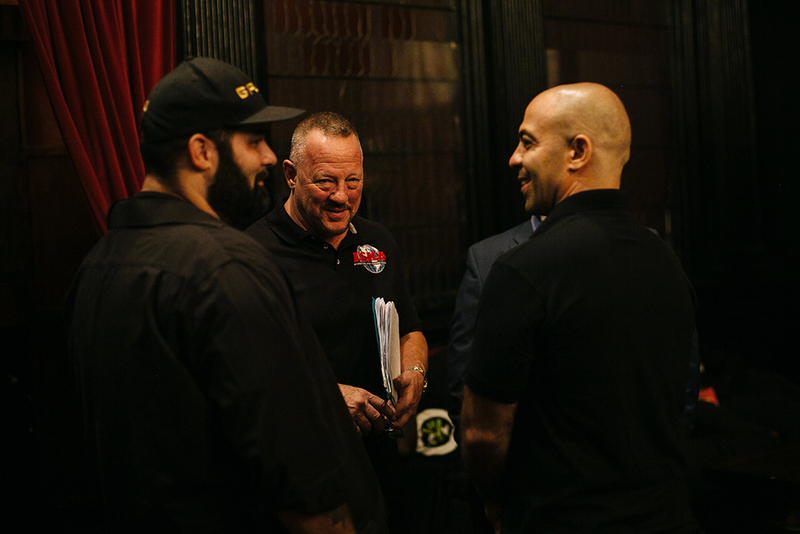 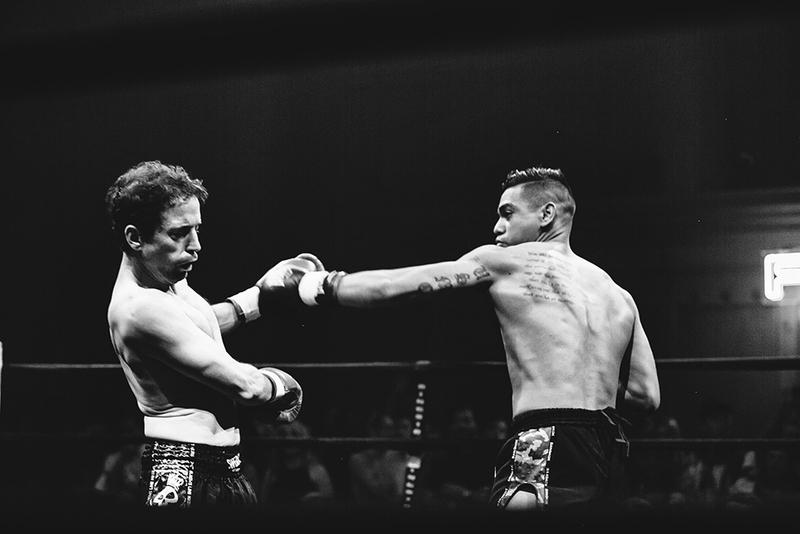 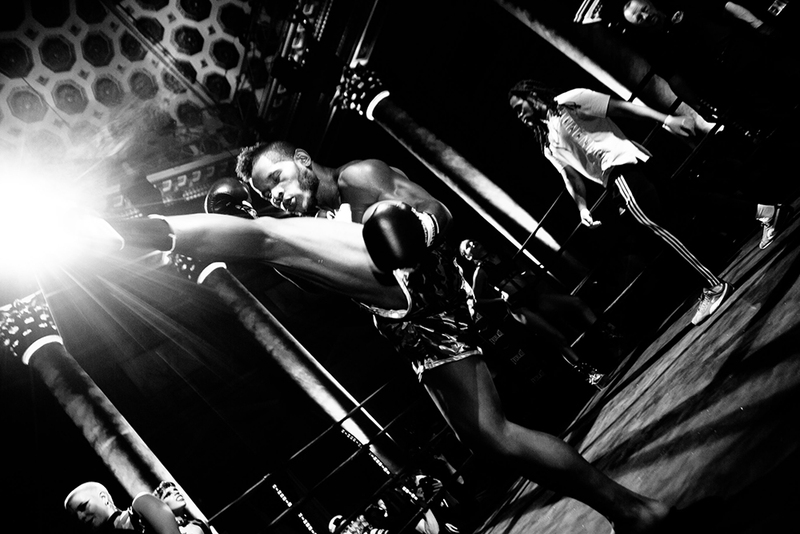 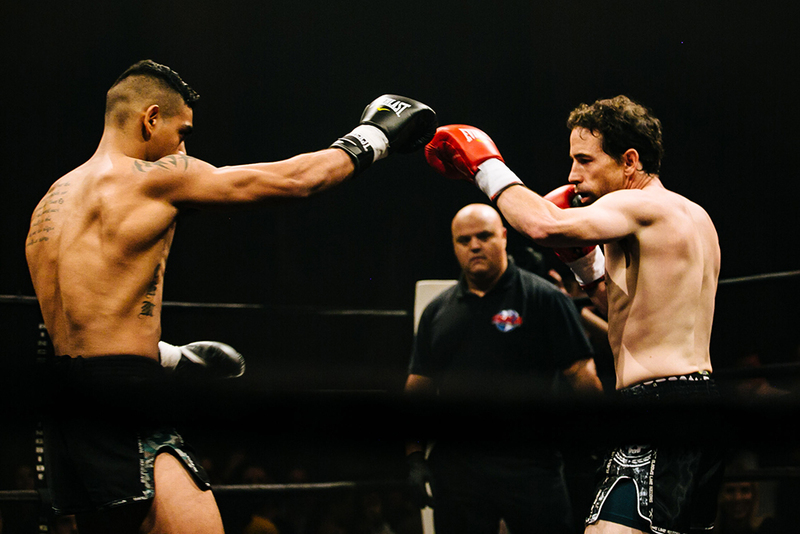 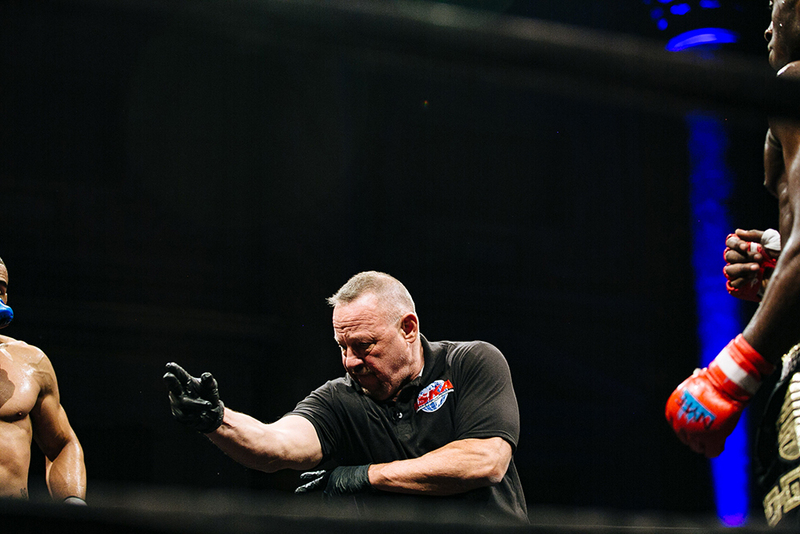 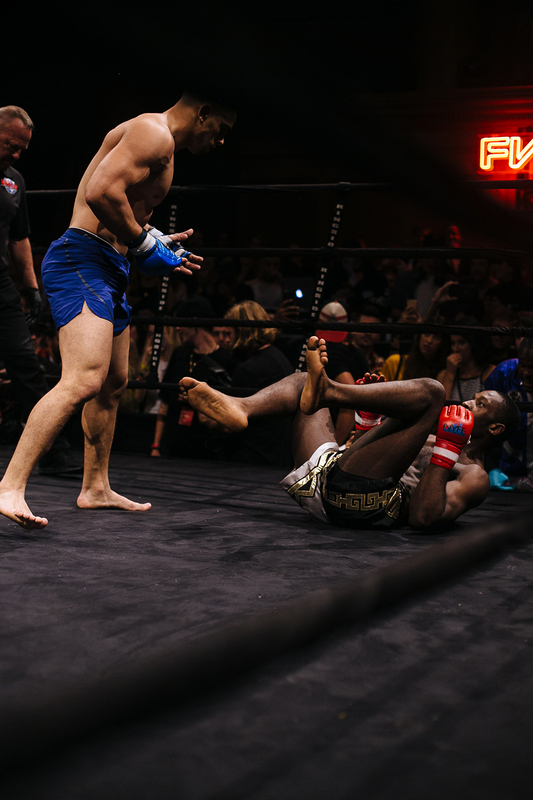 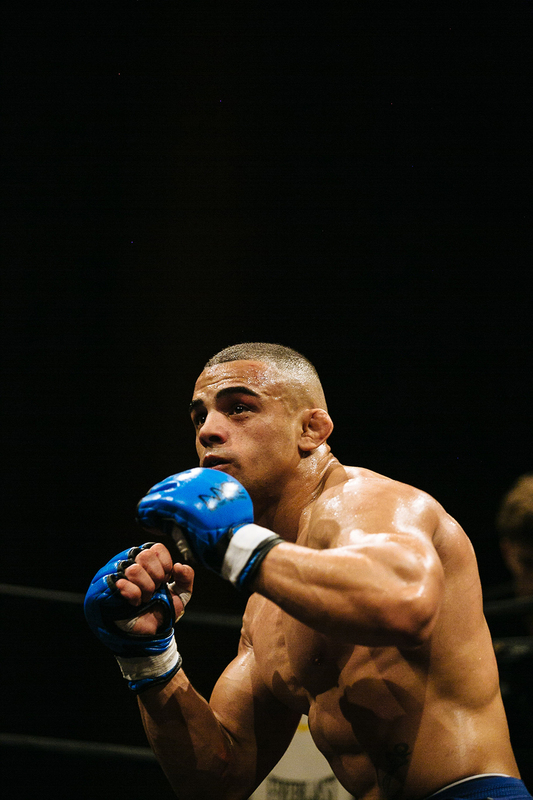 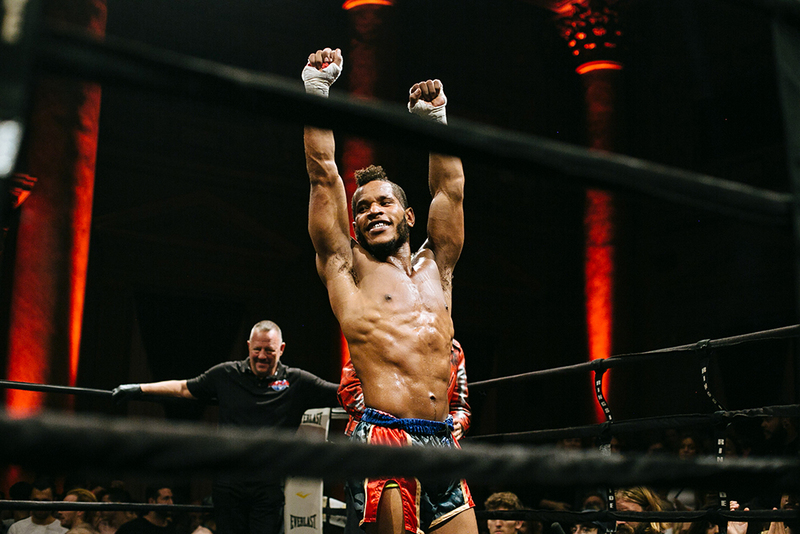 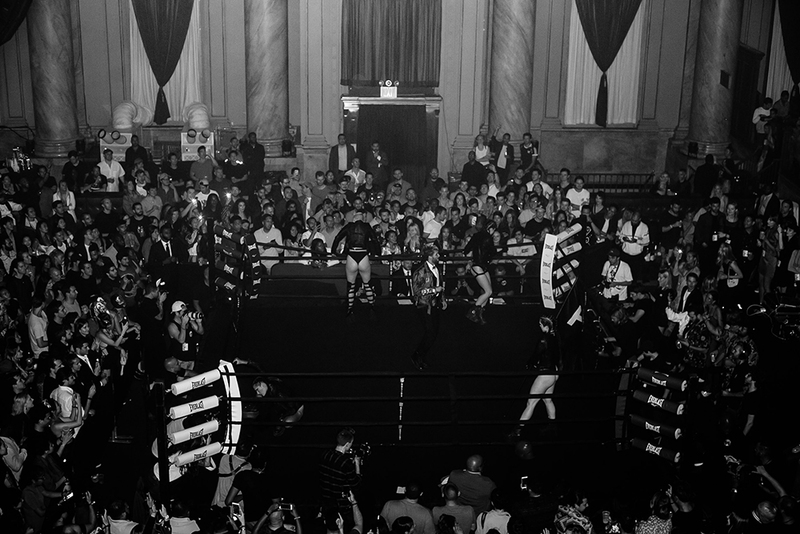 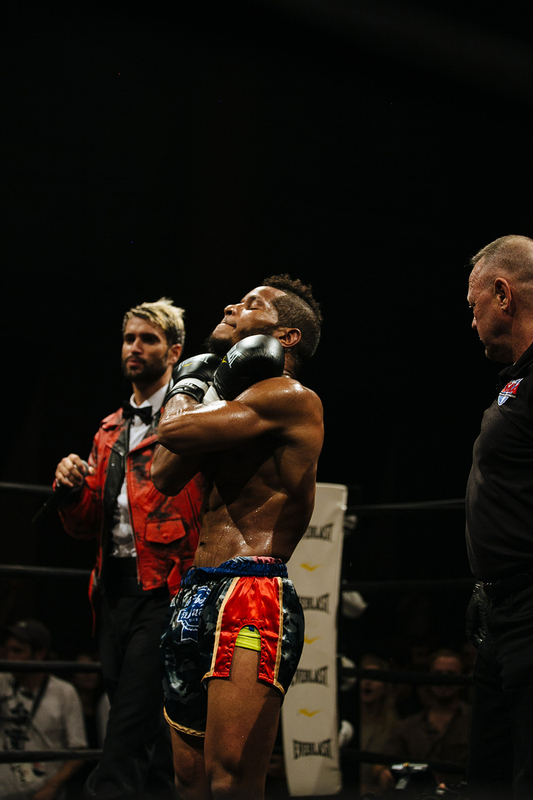 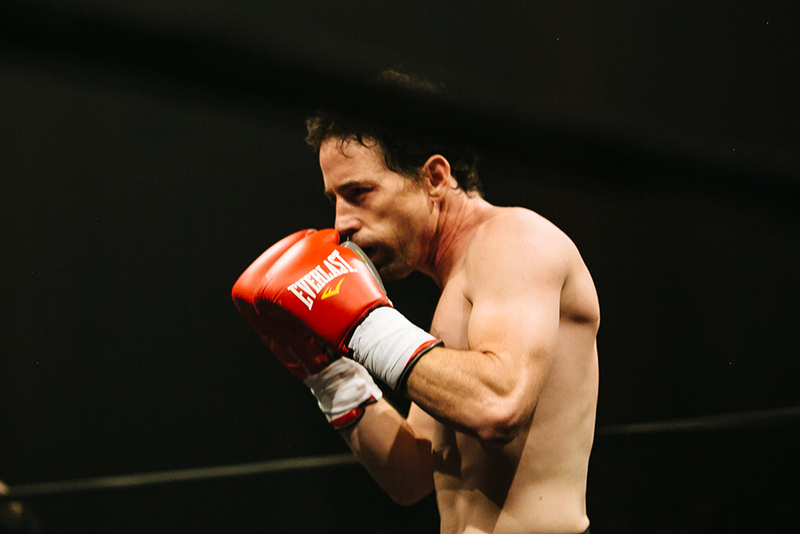 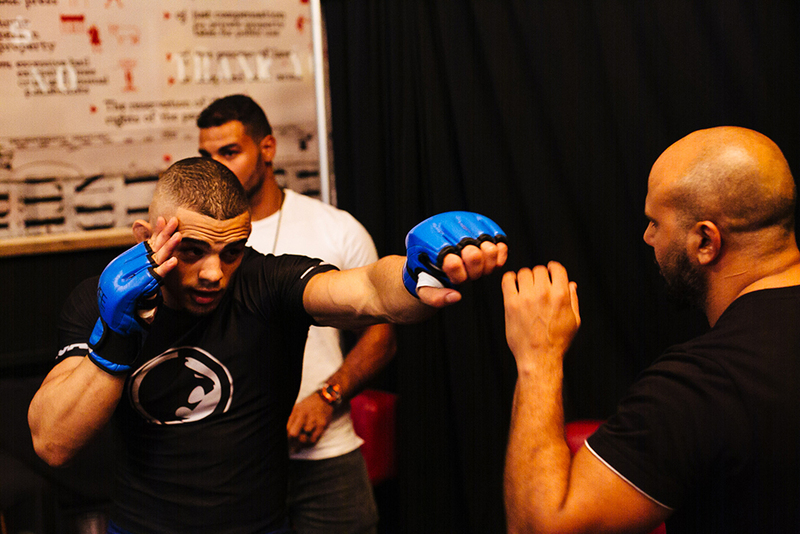 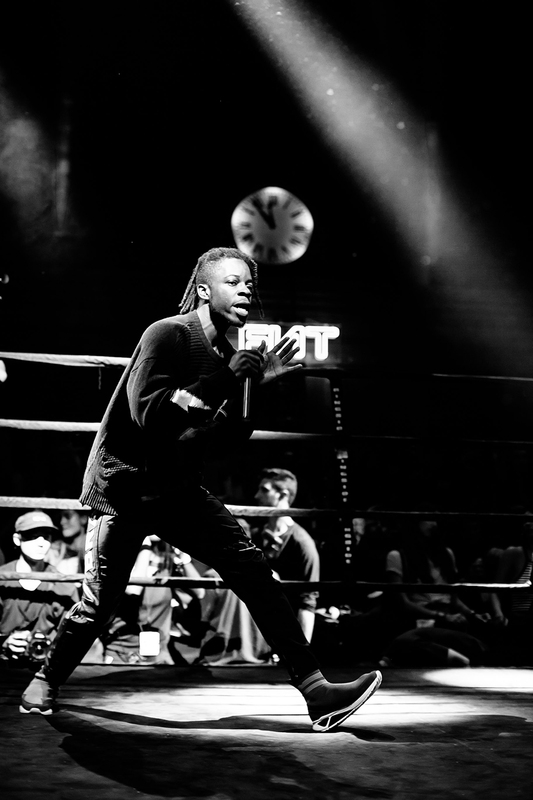 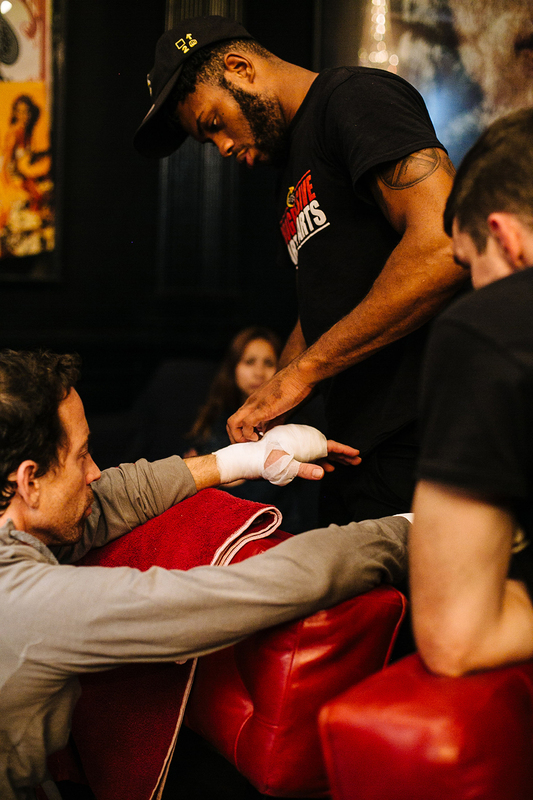 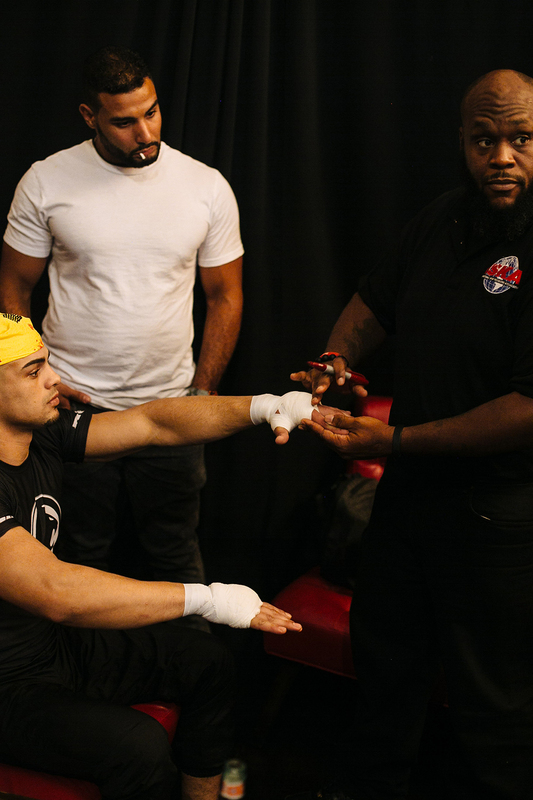 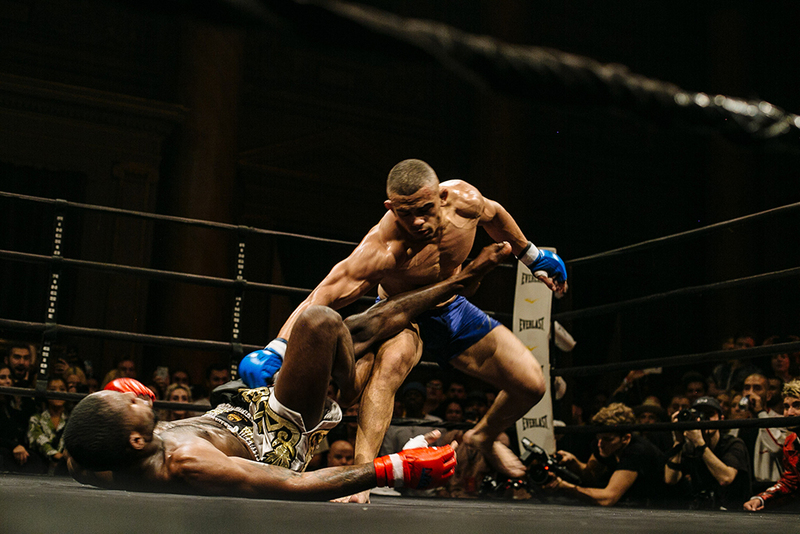 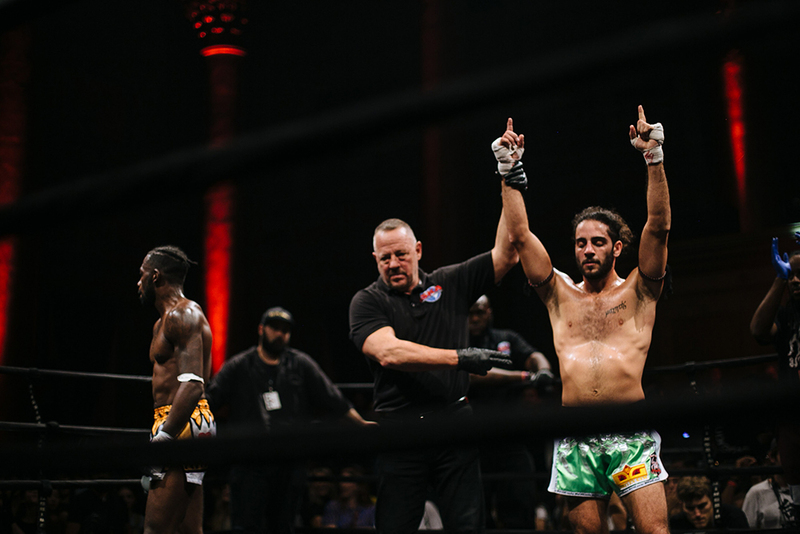 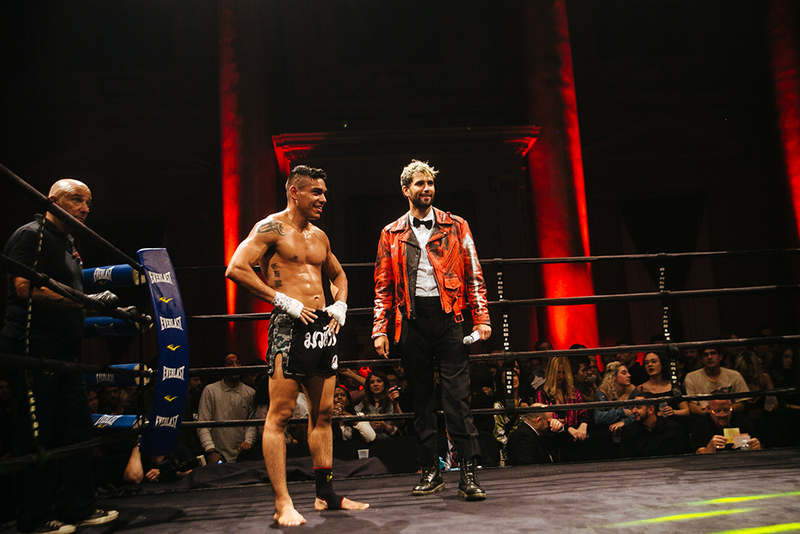 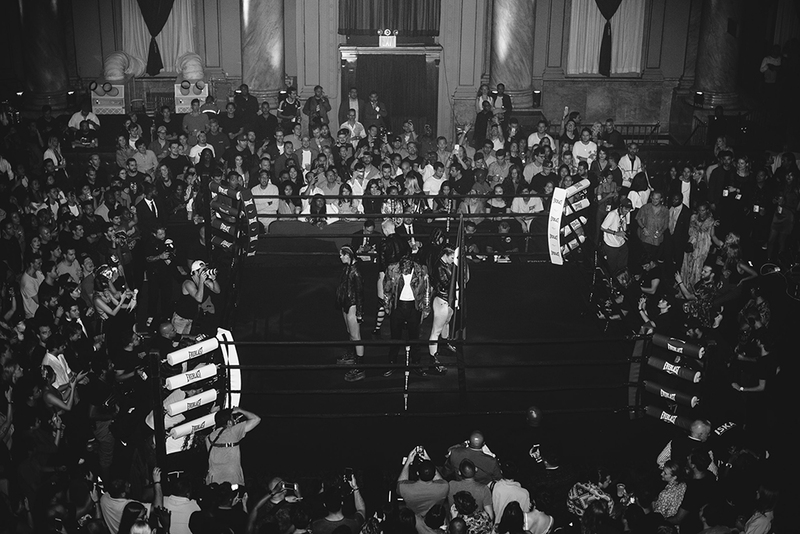 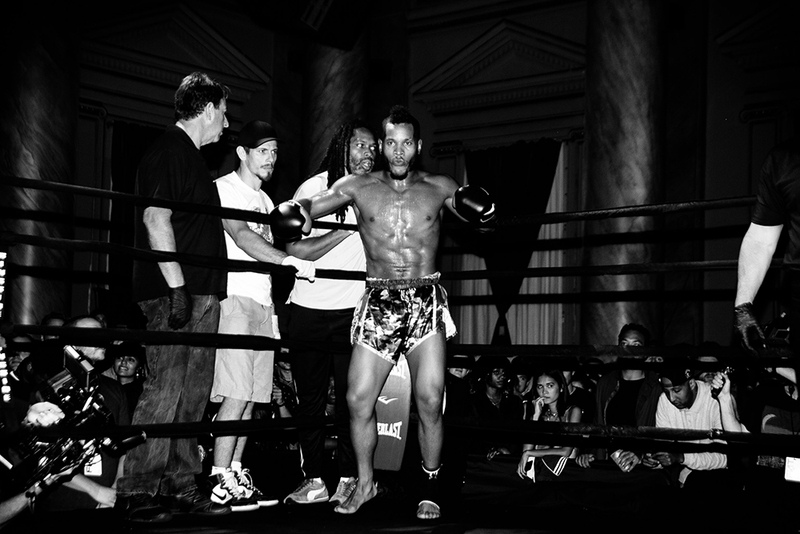 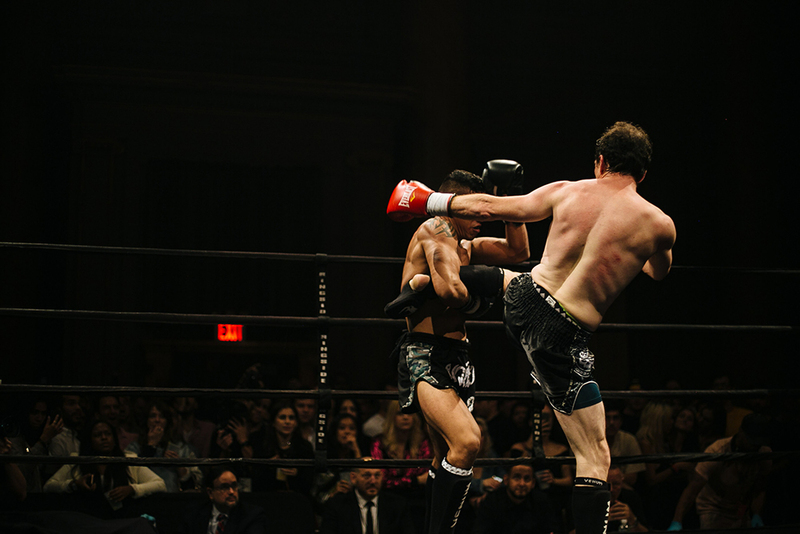 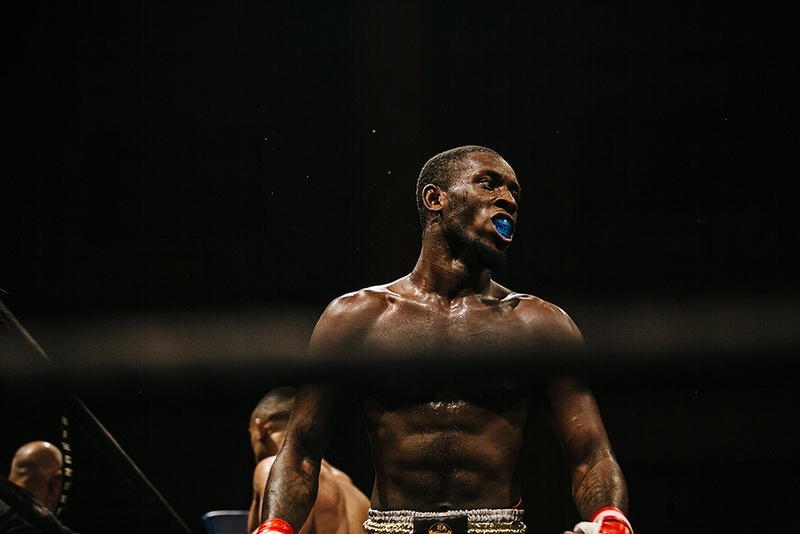 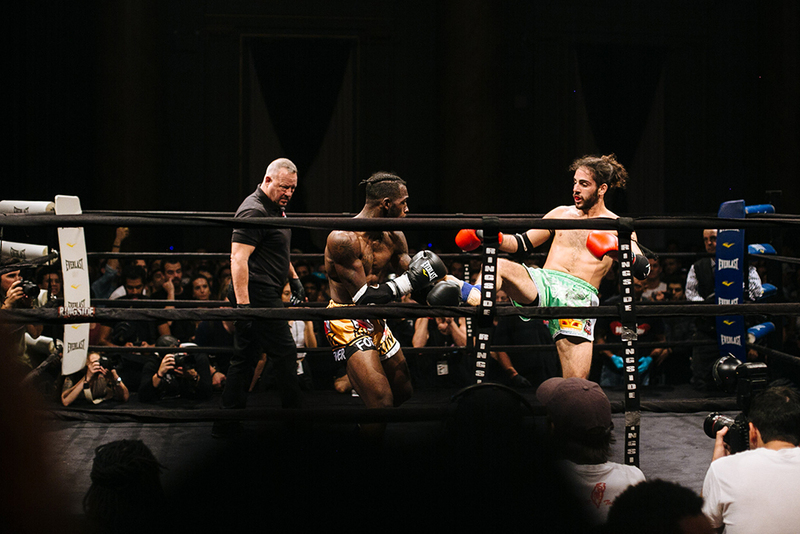 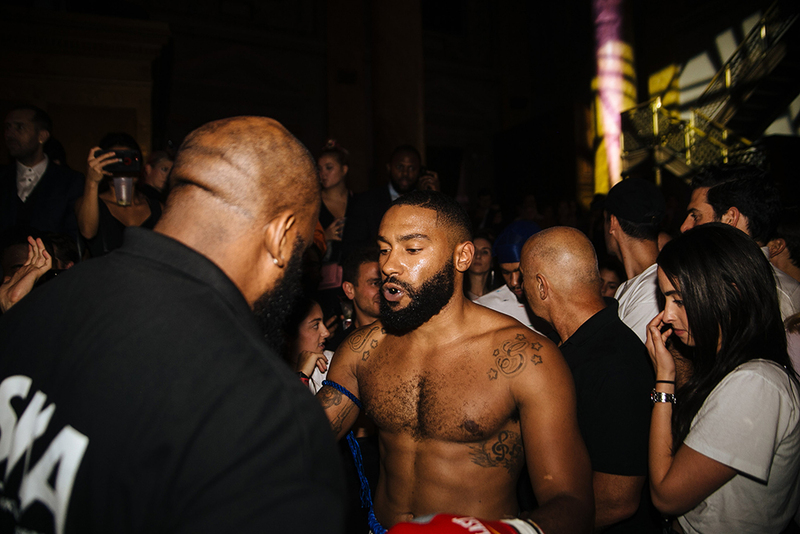 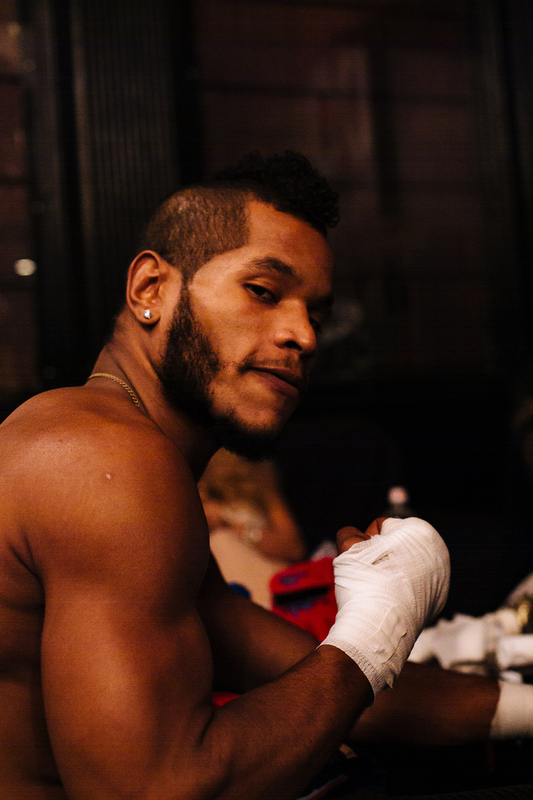 II of their fight series this past Friday, September 14 at the historic venue, Capitale in Bowery, New York. 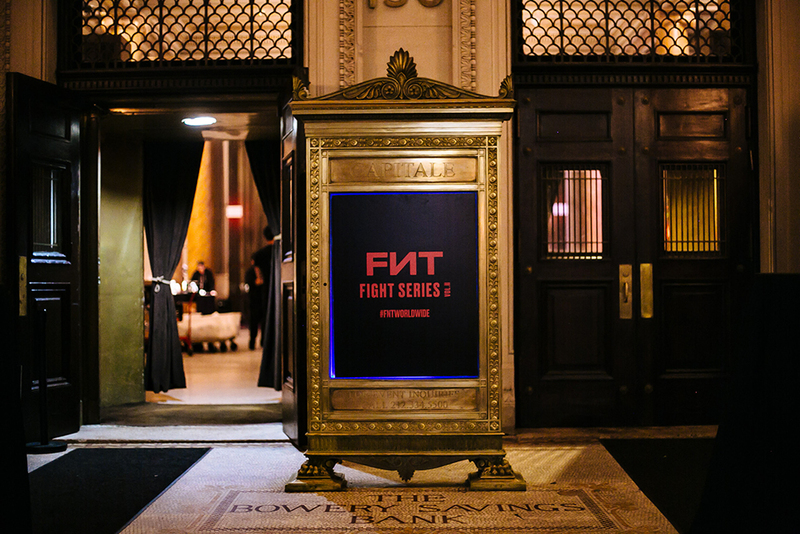 It was just steps away from the corners of Mott and Broome where founder Bekim Trenova held FNT’s inaugural event back in 2009. 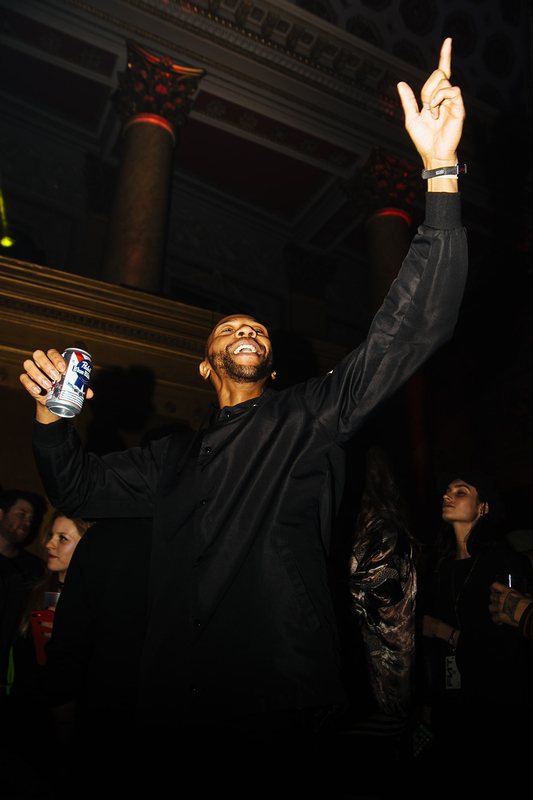 If you were lucky enough to attend vol. 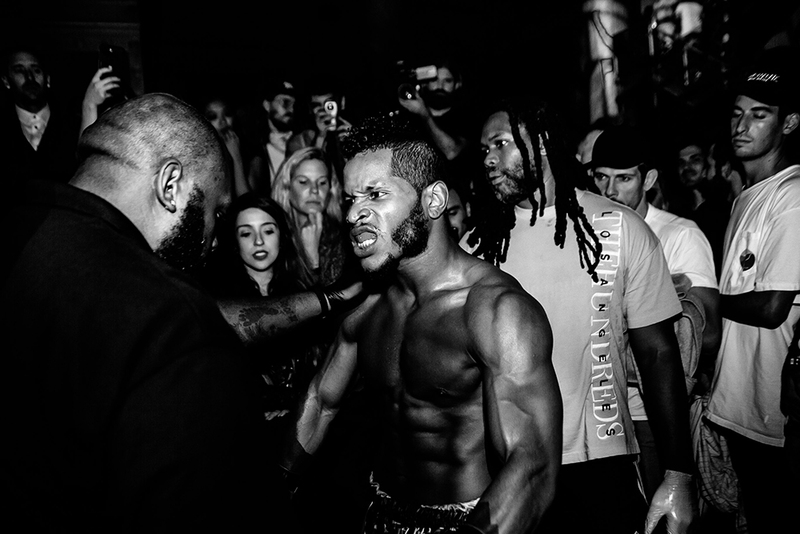 I, chu already know this is no average fight night. 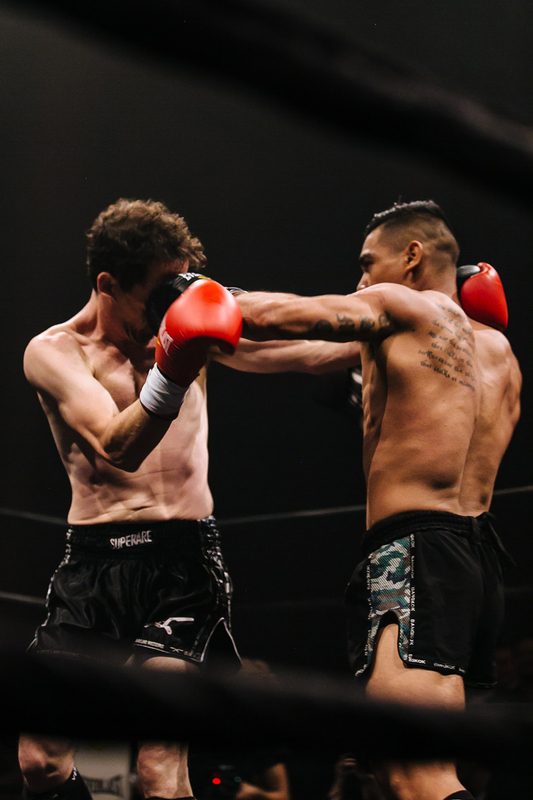 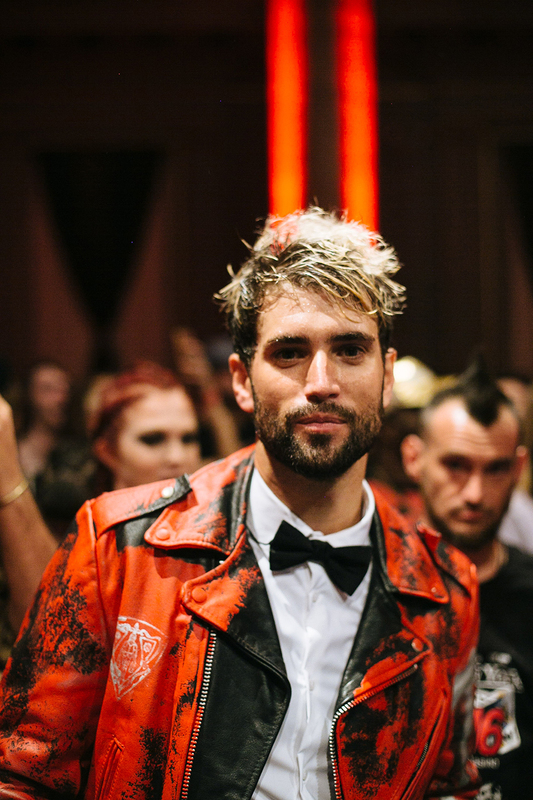 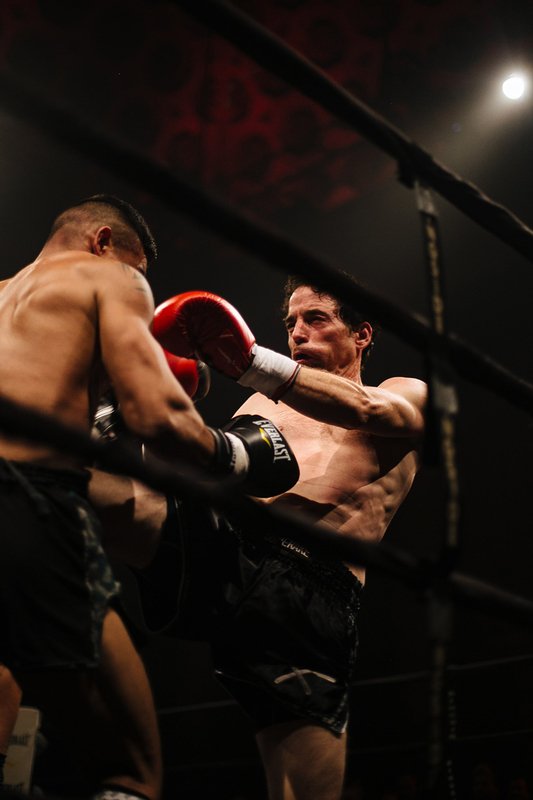 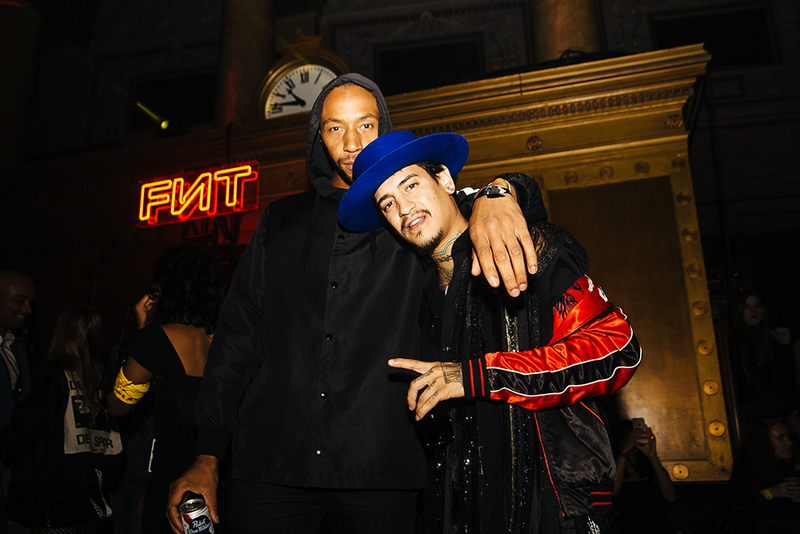 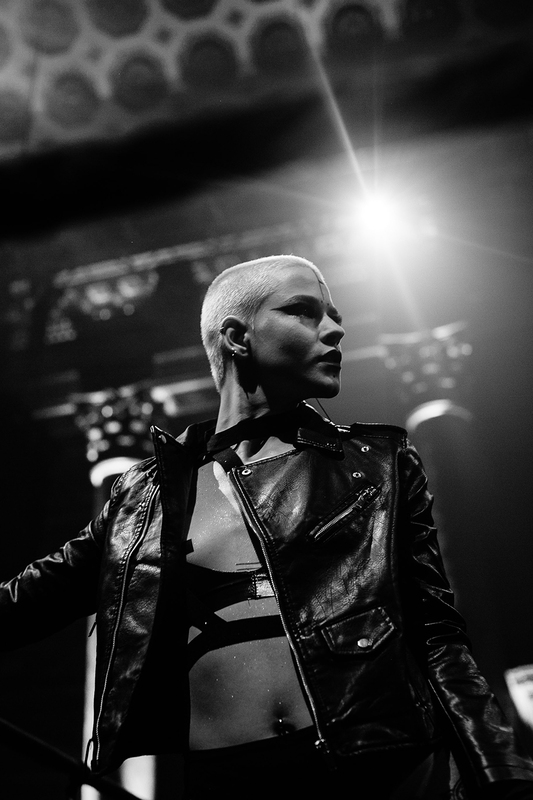 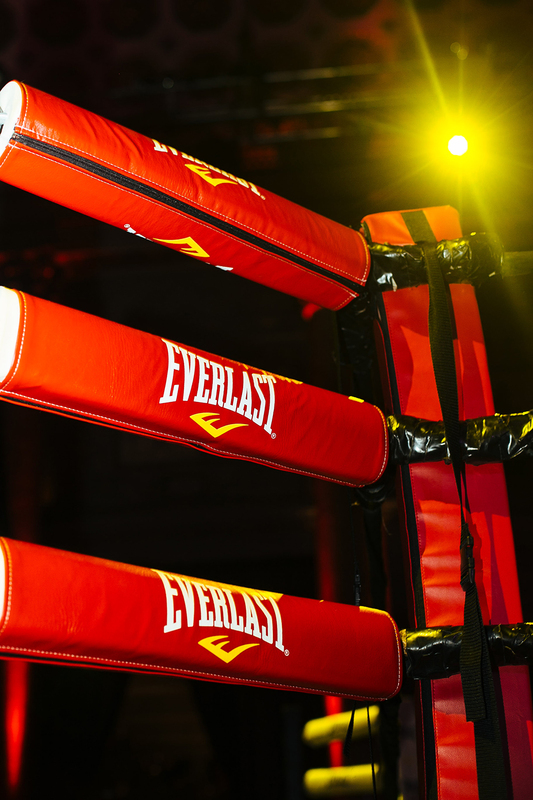 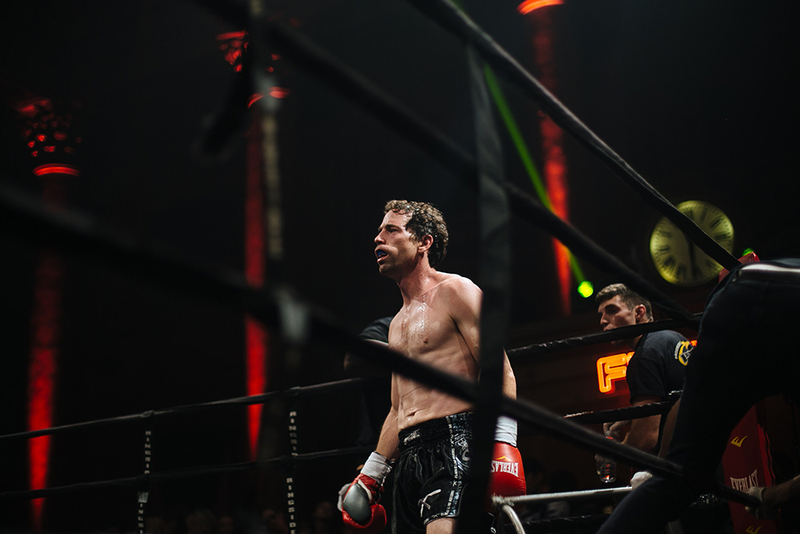 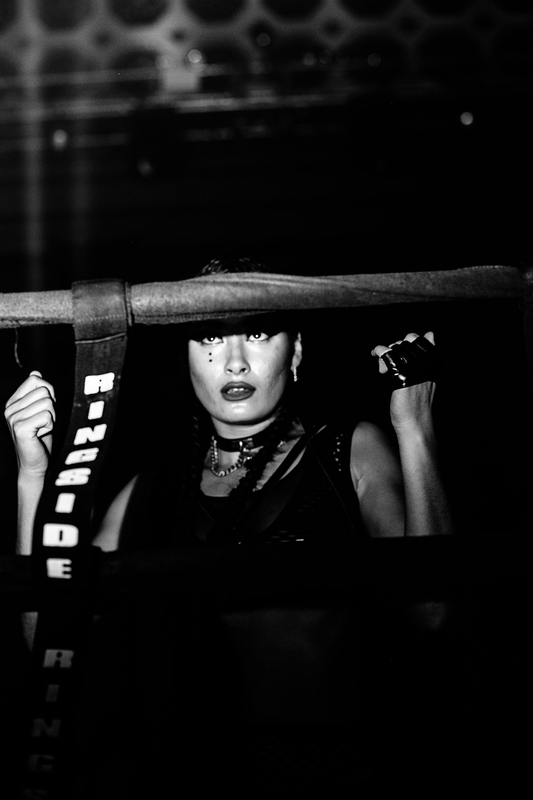 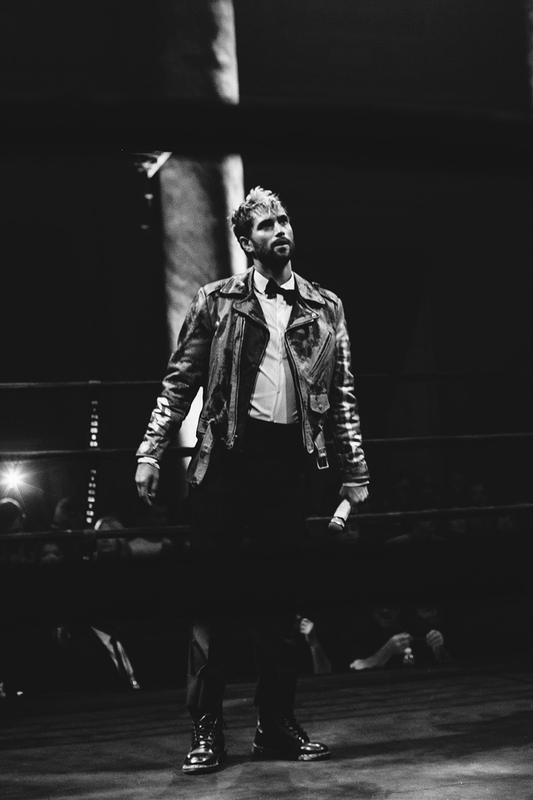 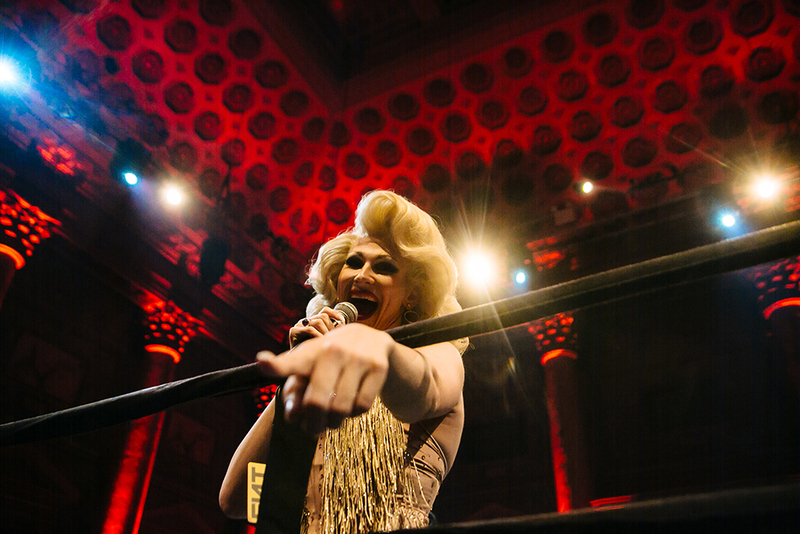 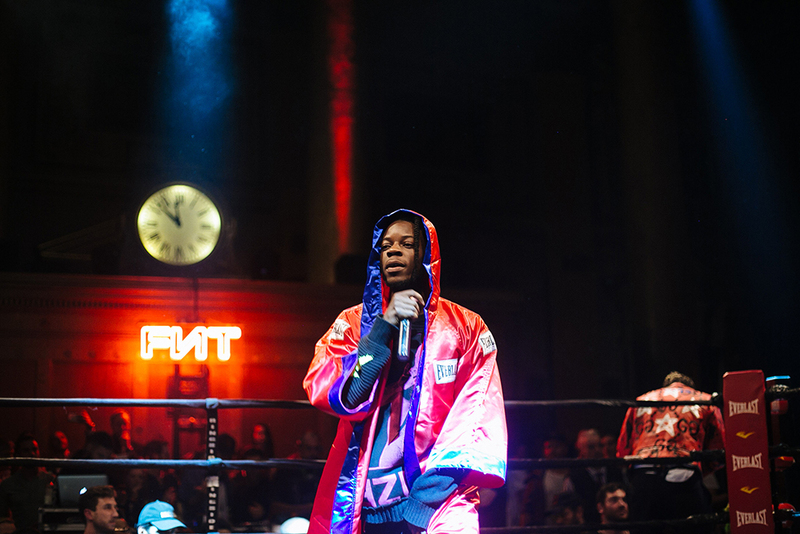 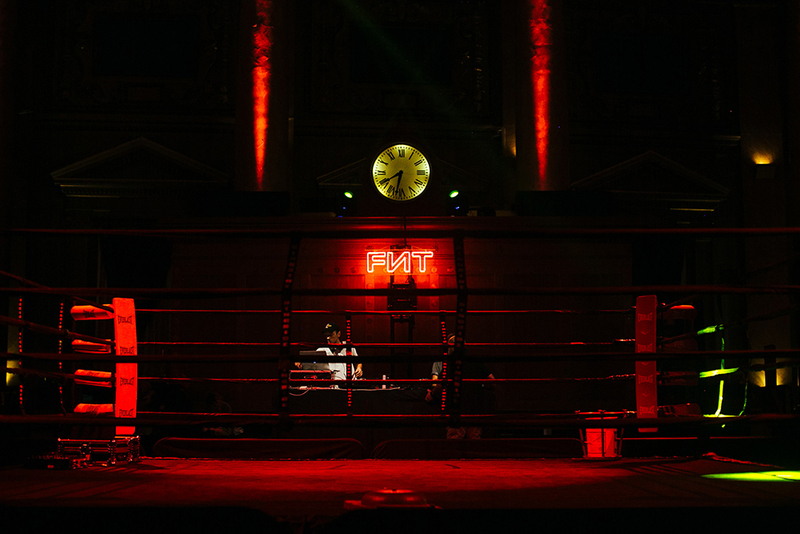 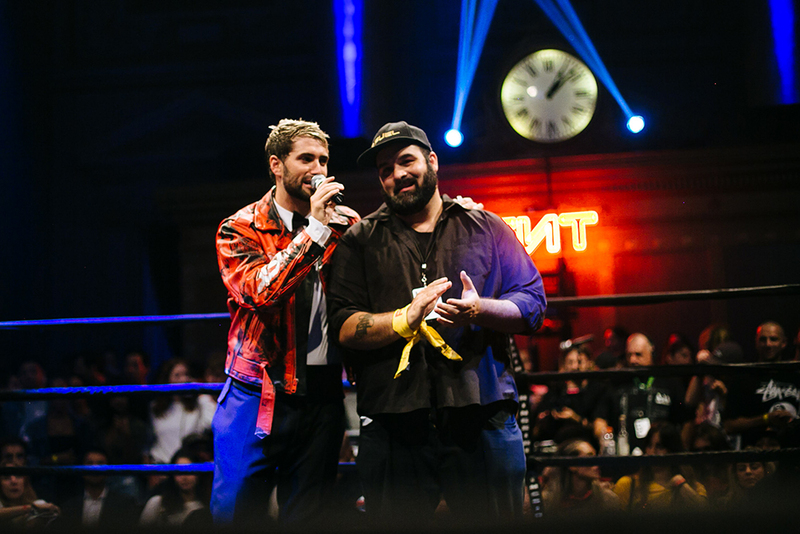 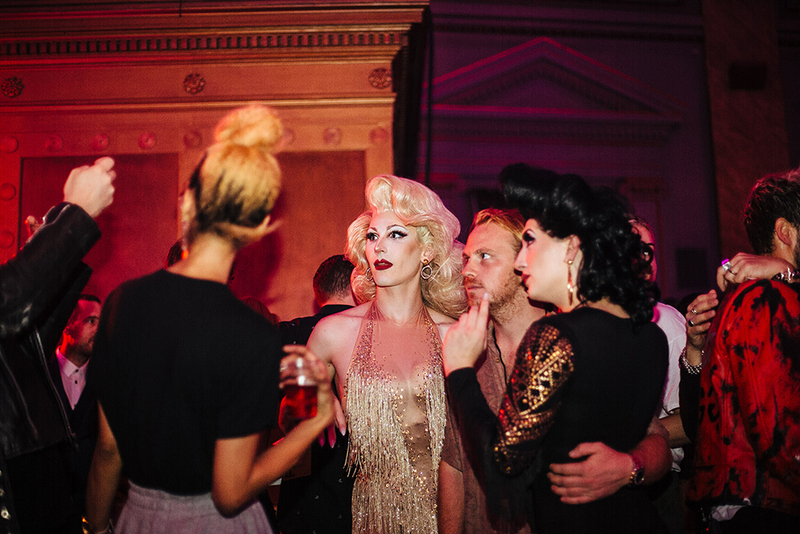 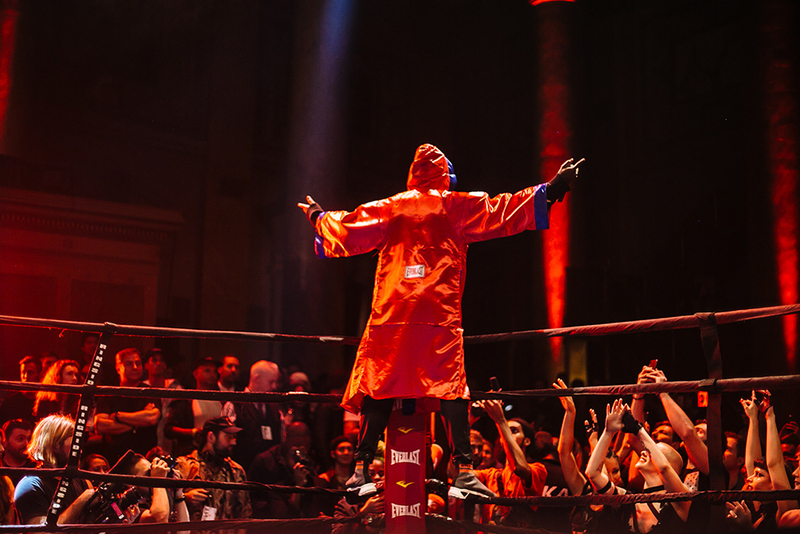 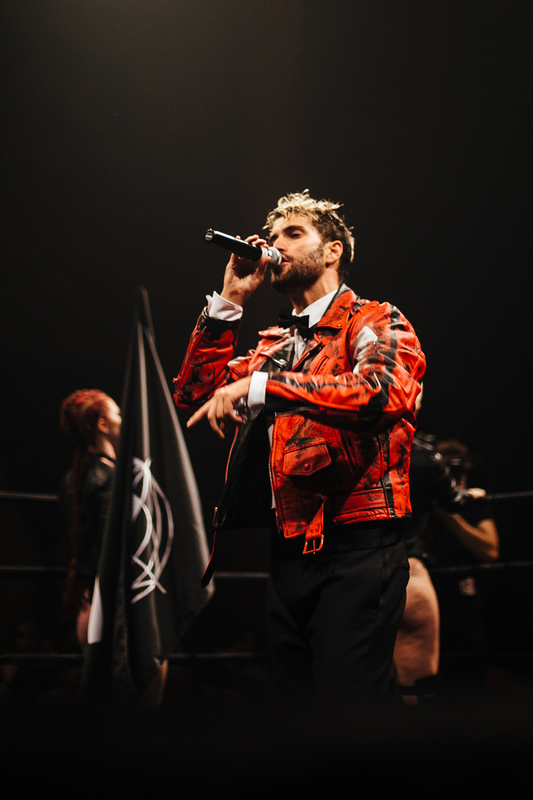 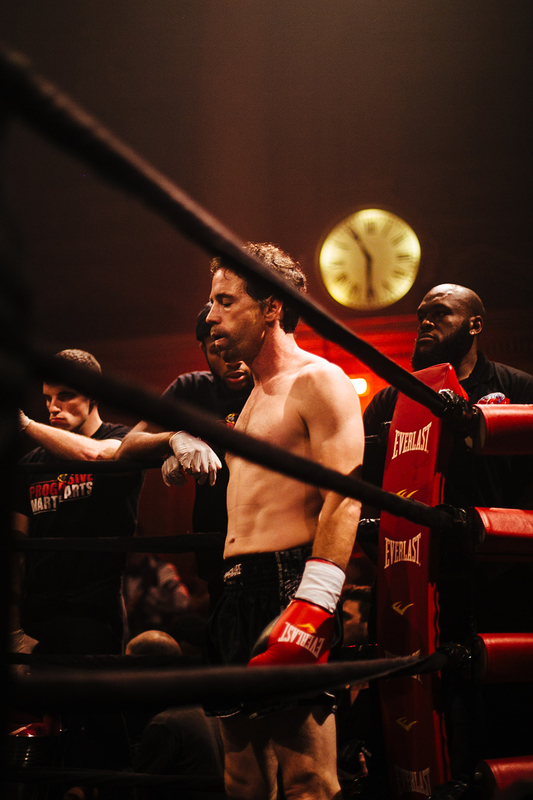 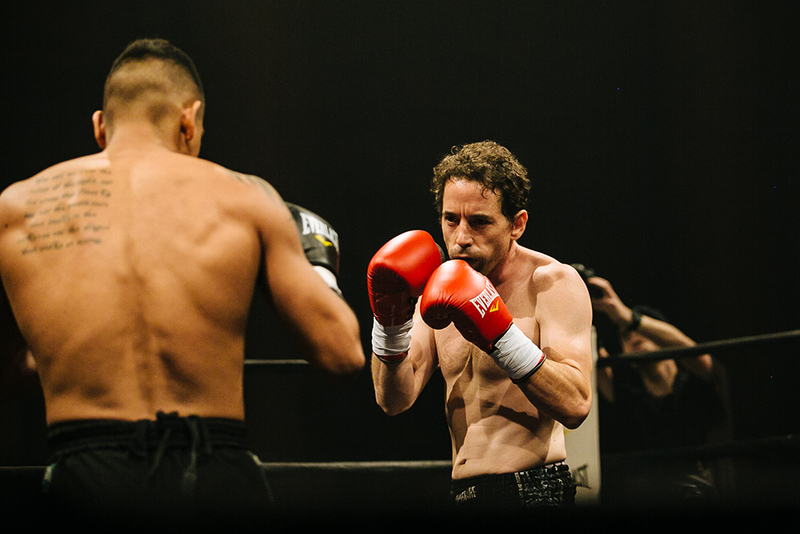 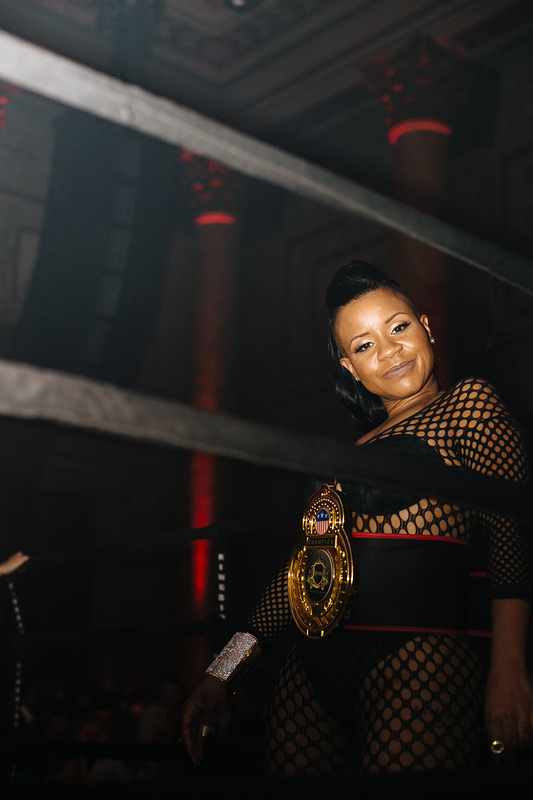 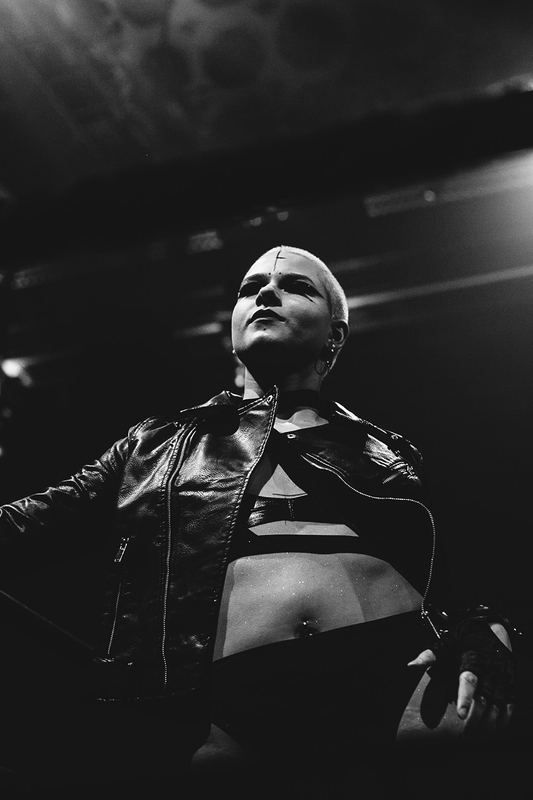 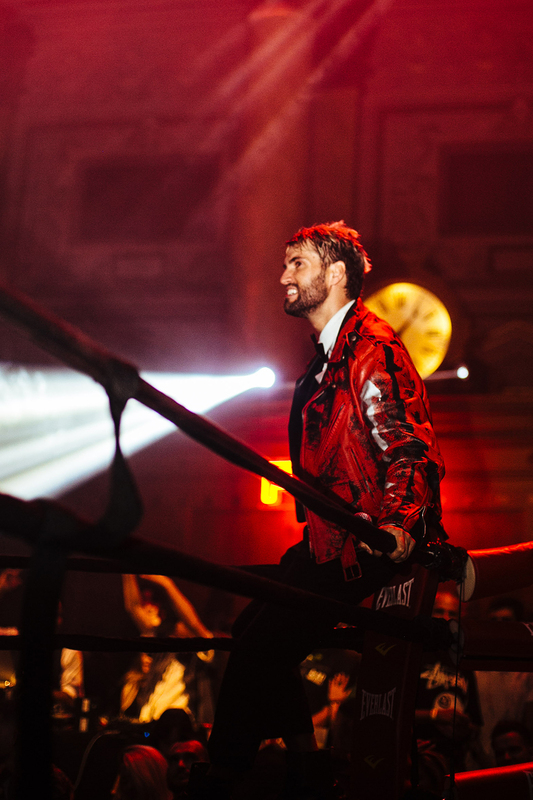 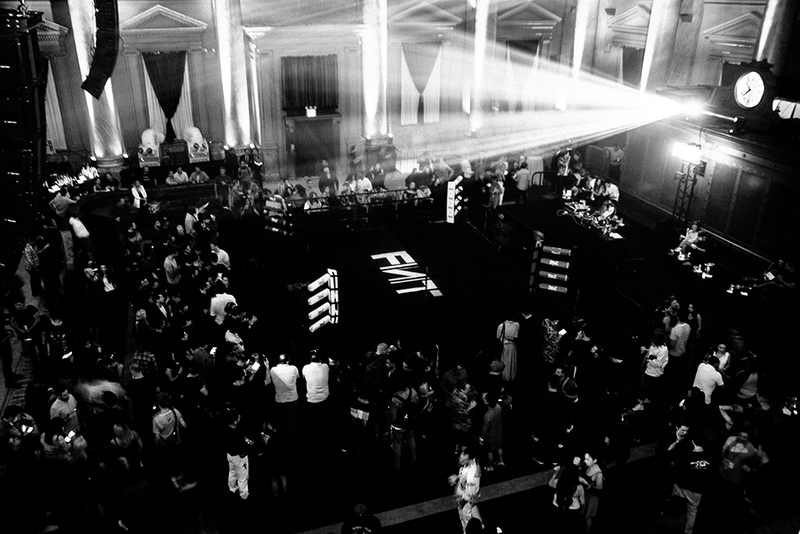 Fight fans, creatives, and models galore entered the once savings bank-turned fight lair for an enigmatic night filled with majestic performances from the fight game’s rising martial artists. 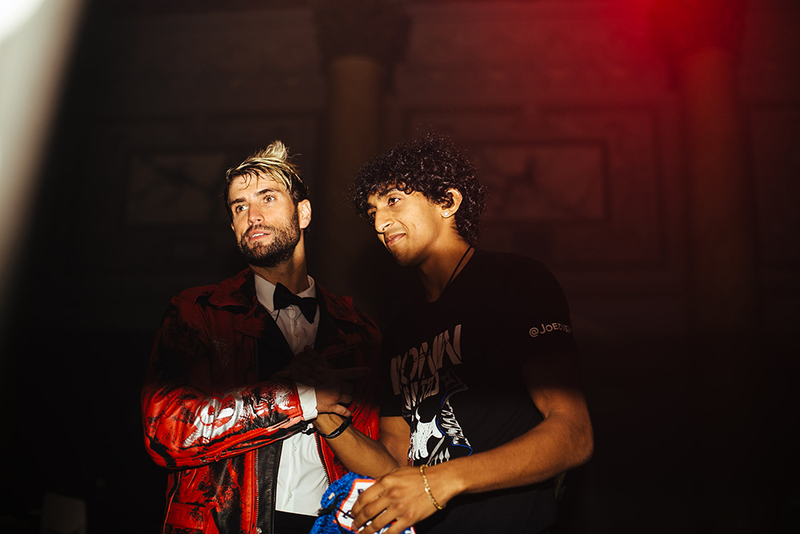 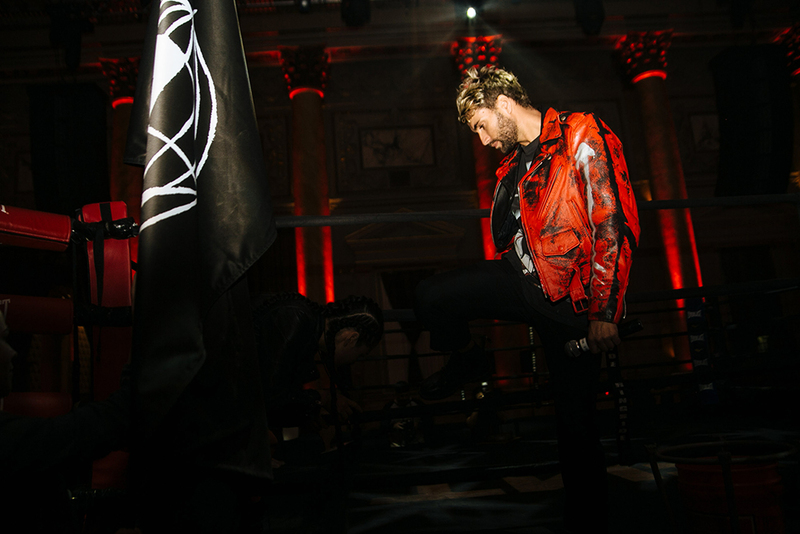 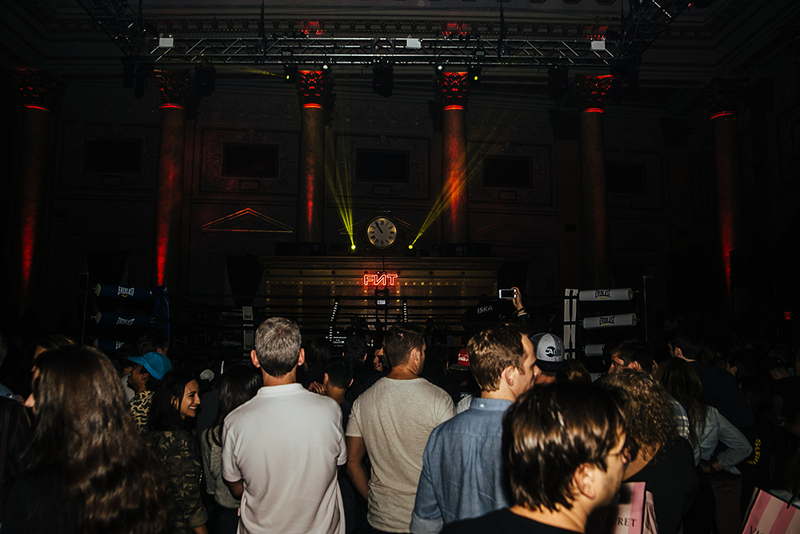 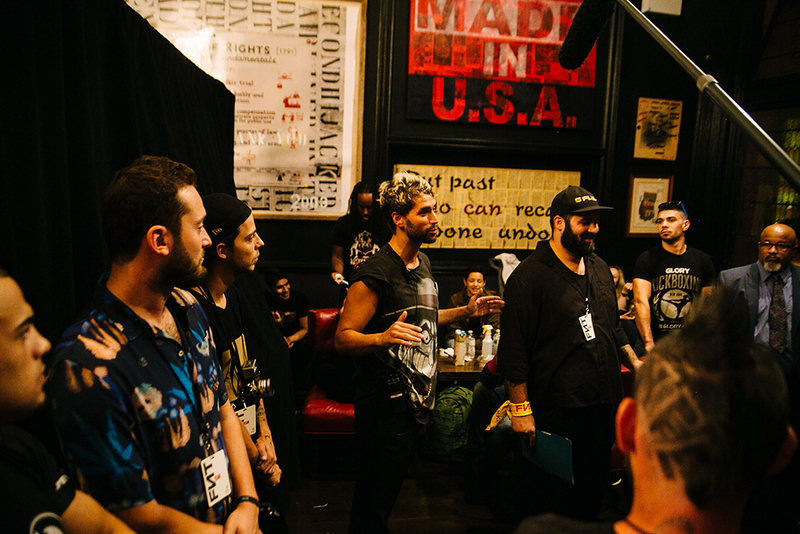 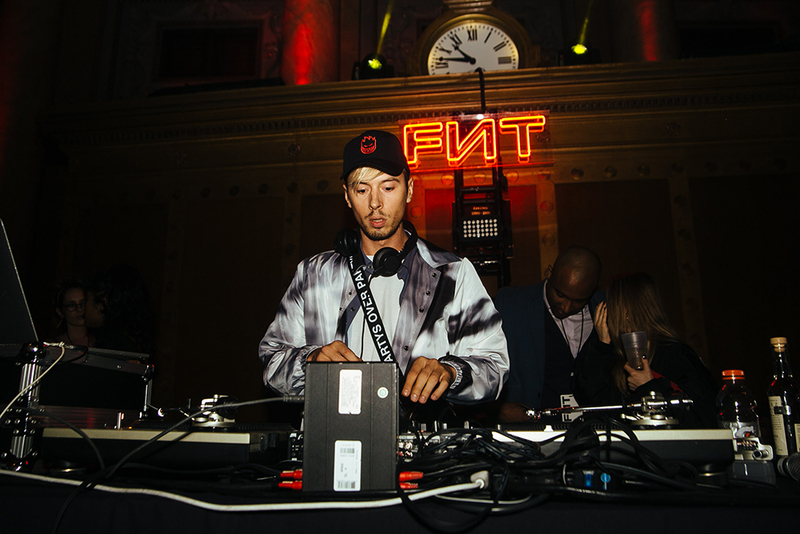 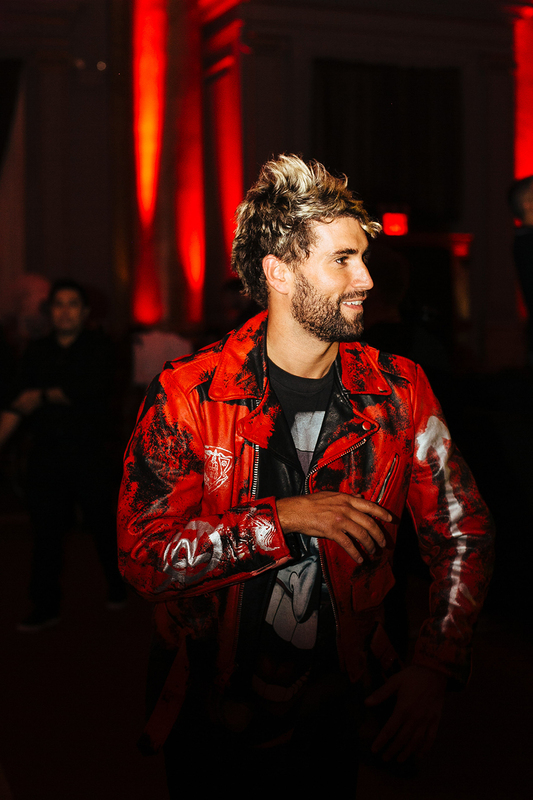 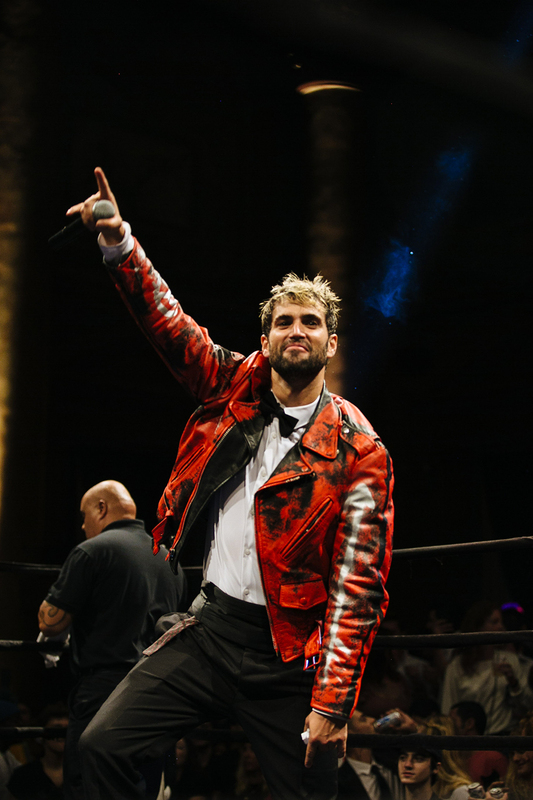 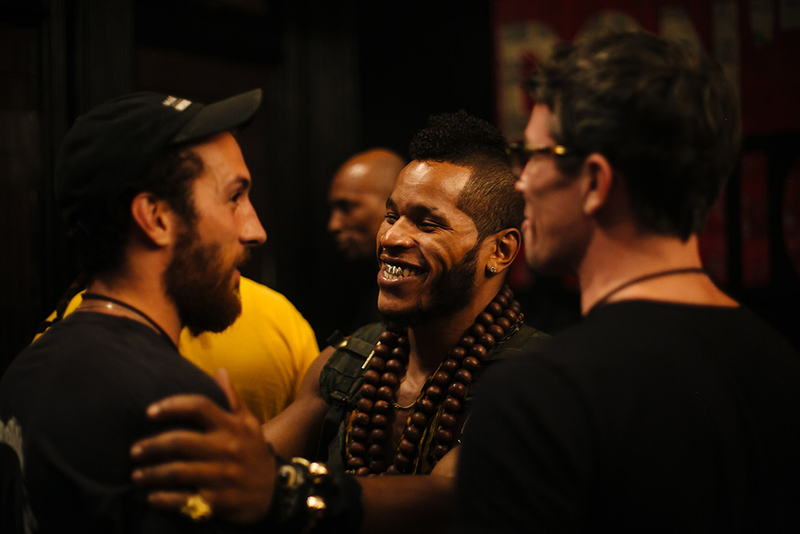 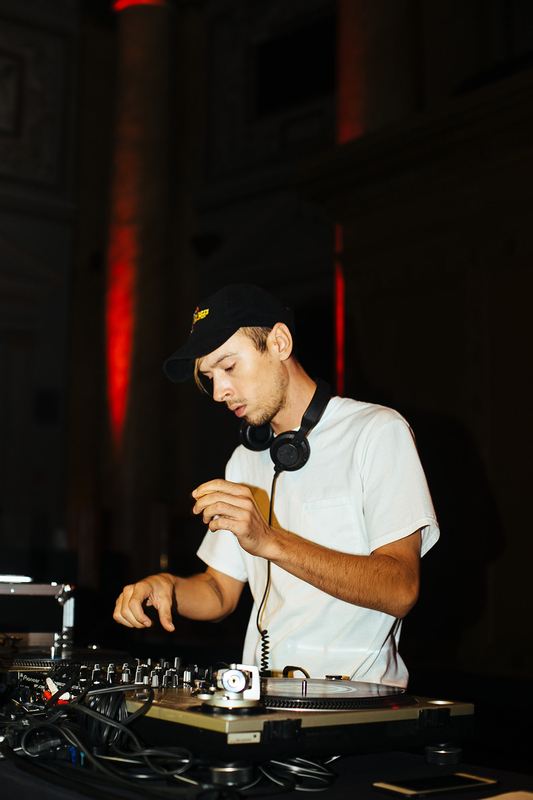 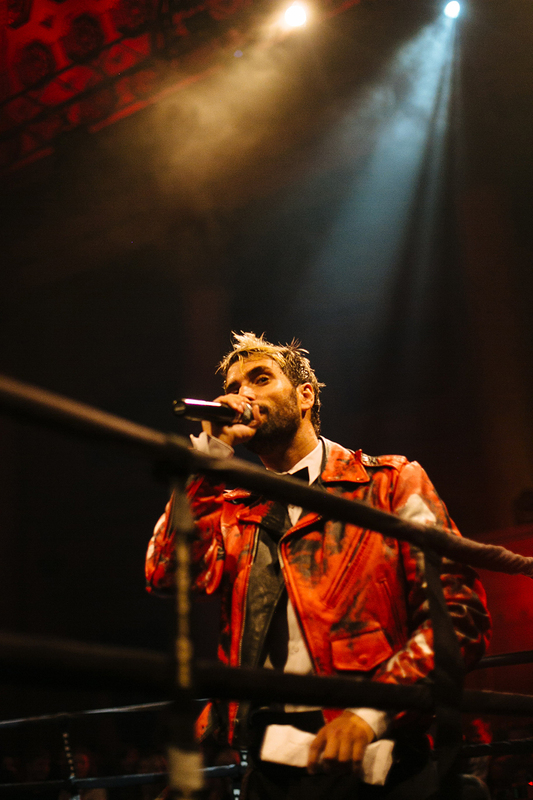 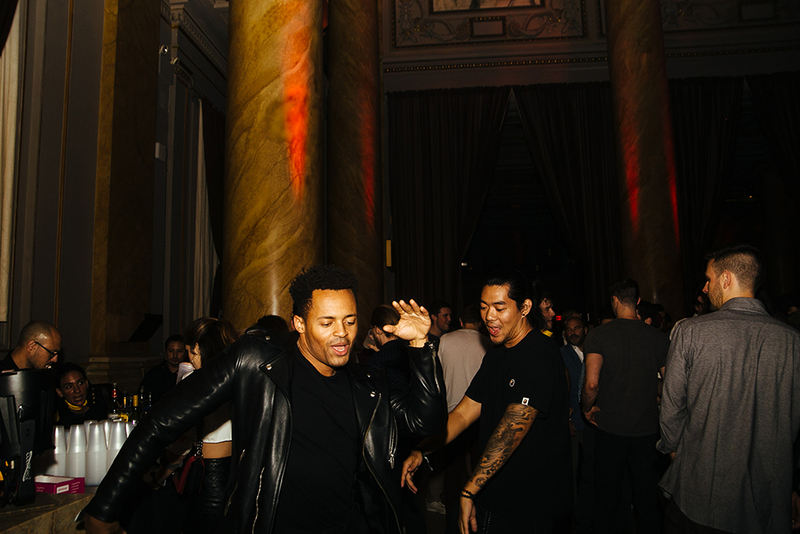 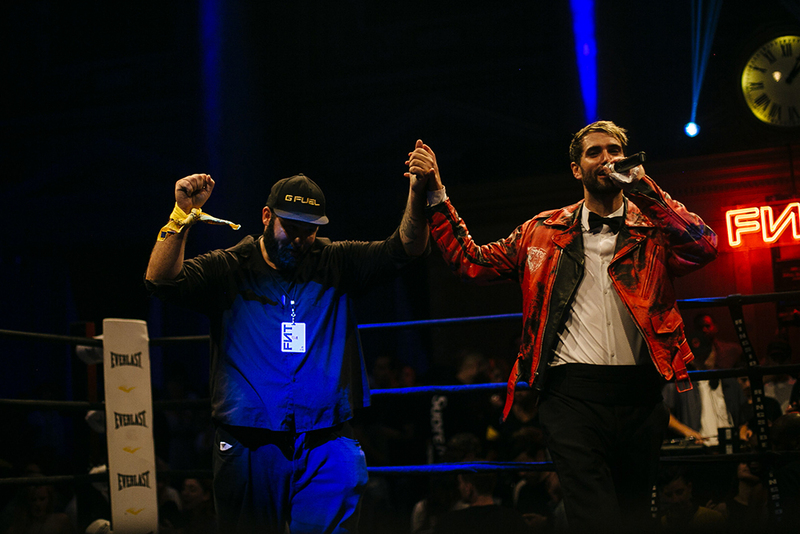 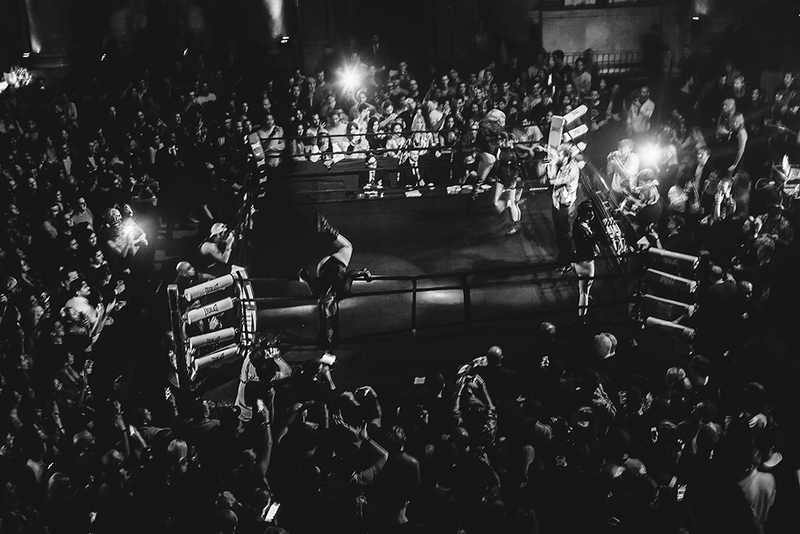 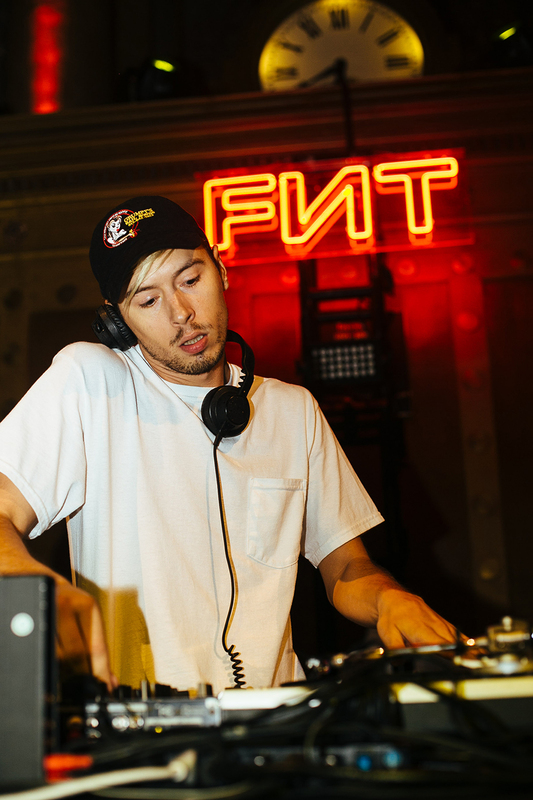 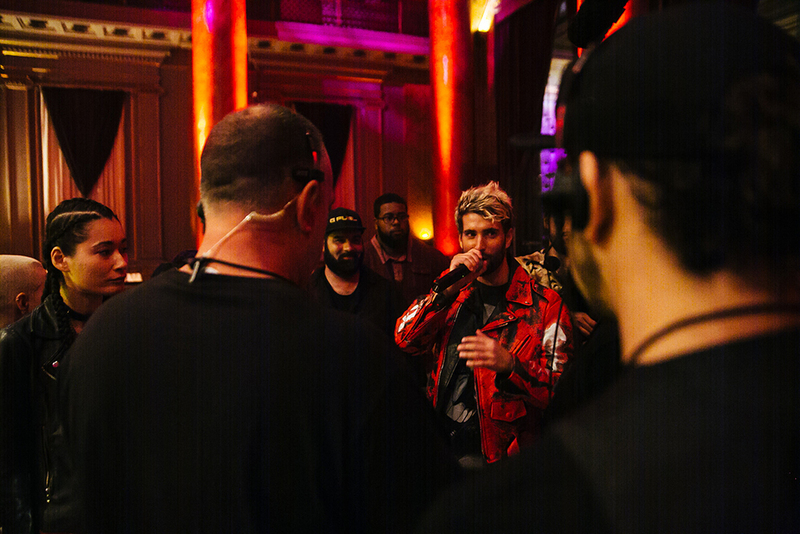 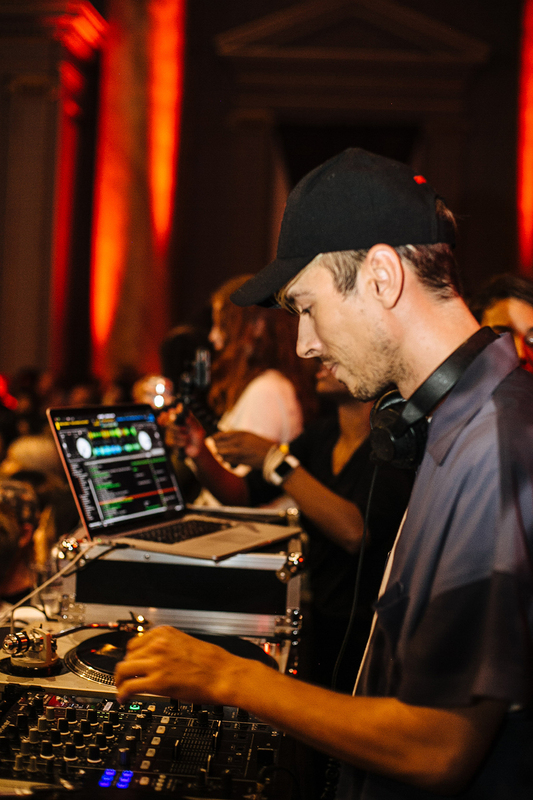 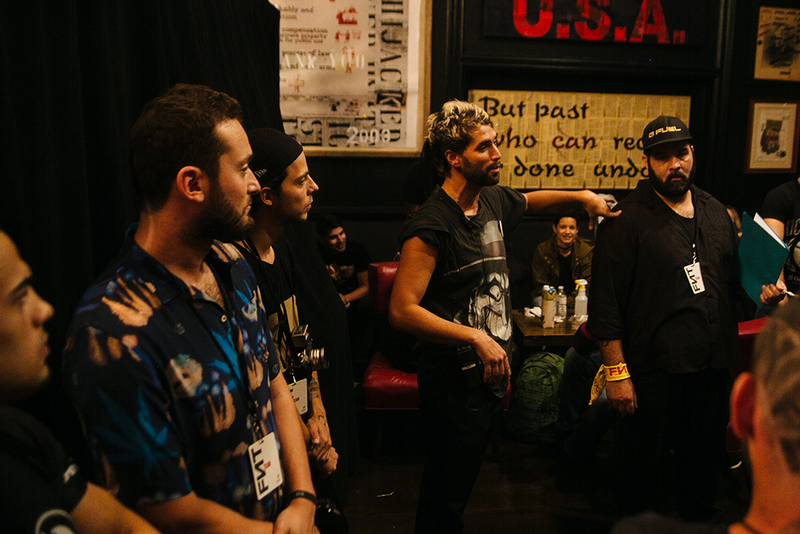 “The X-Games of Fighting” followed up their sold-out event at the Williamsburg hotel by packing The Capitale with over 2,000 people with plenty of peeps lined up around the block. 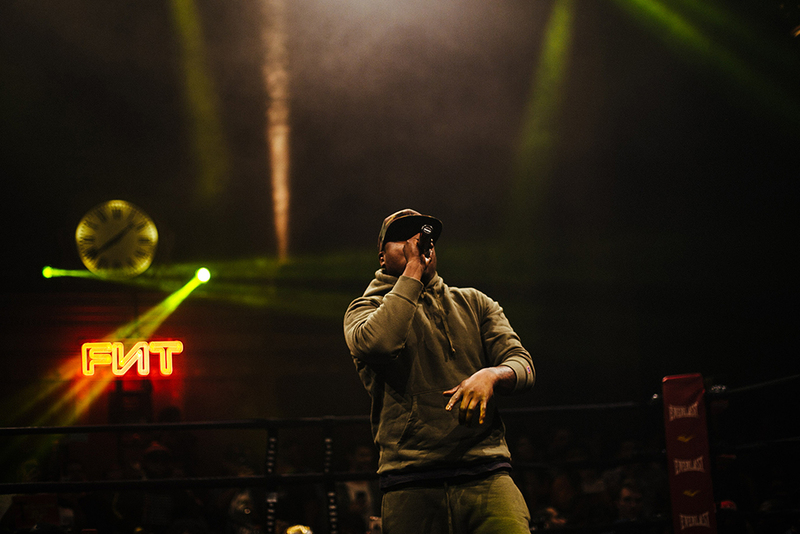 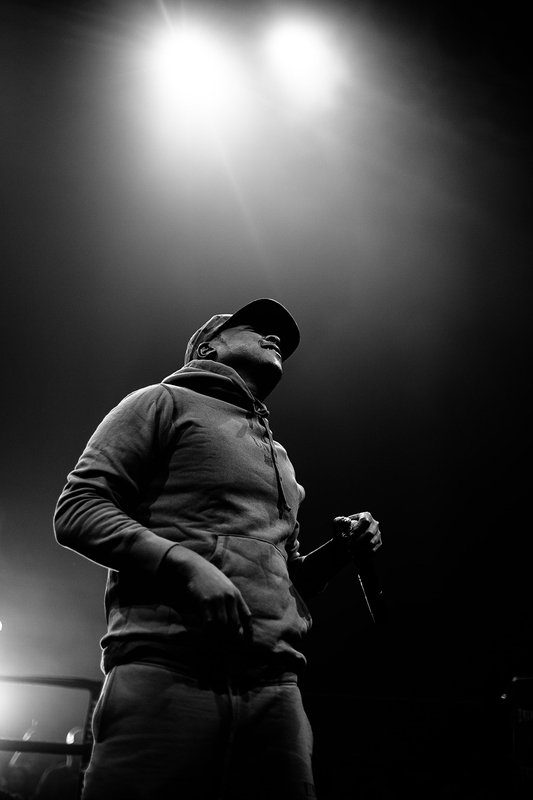 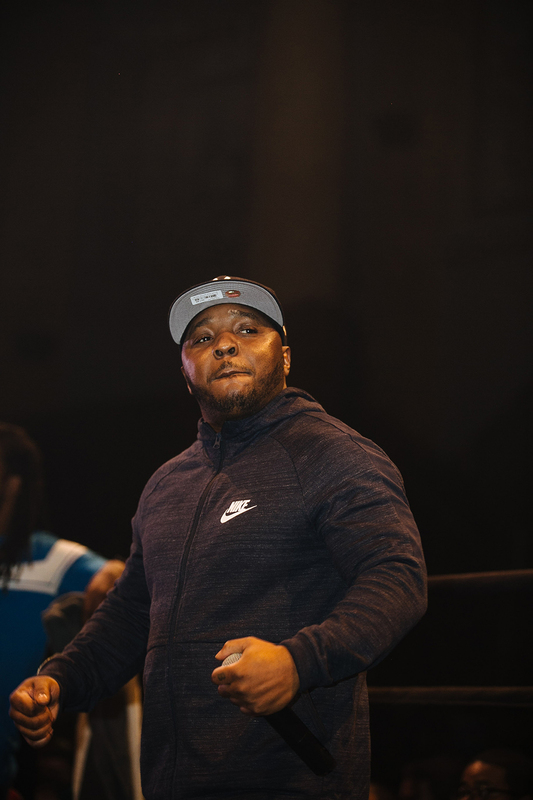 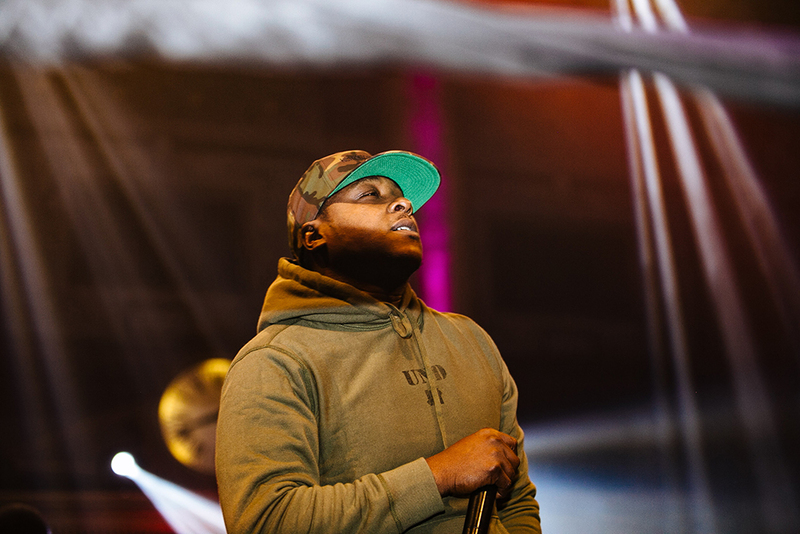 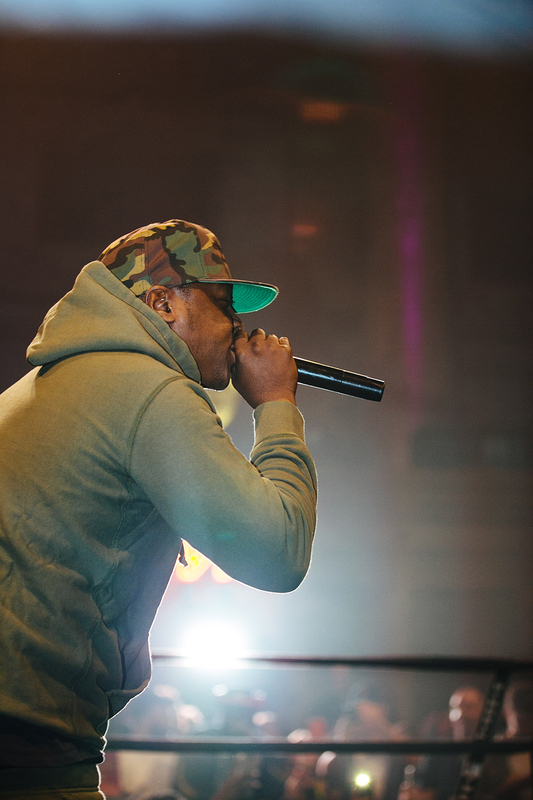 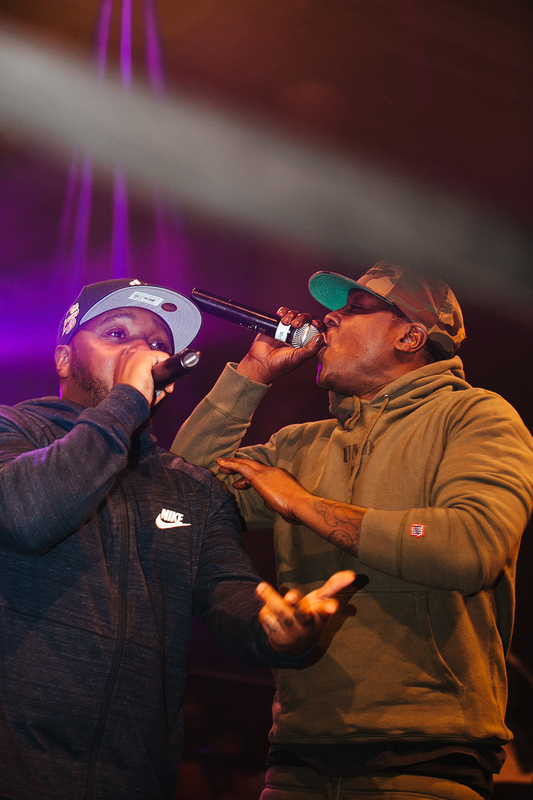 Whether it was watching the first-ever female FNT bout or the surprise performance by OG’s, Jadakiss and Lil’ Cease, every soul in the audience experienced the magic that could only be felt by being there. 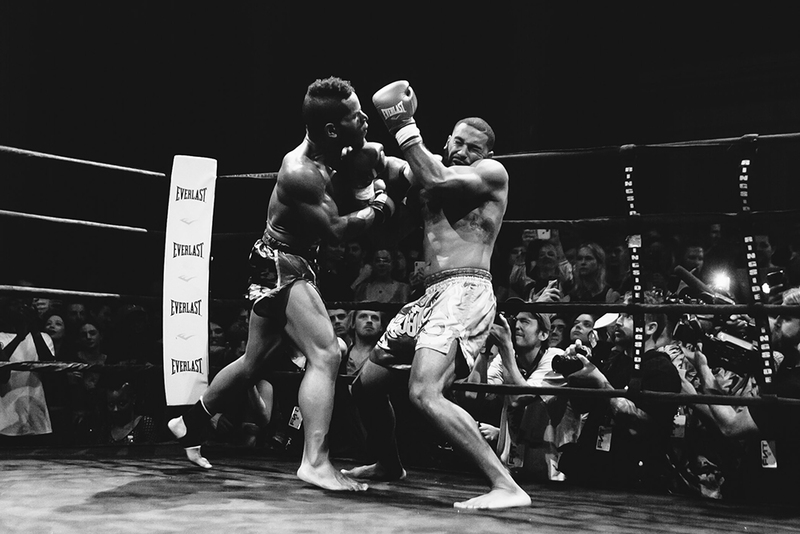 The Attitude Era of Combat Sports is here and Goldyn is knee-deep in that ish. 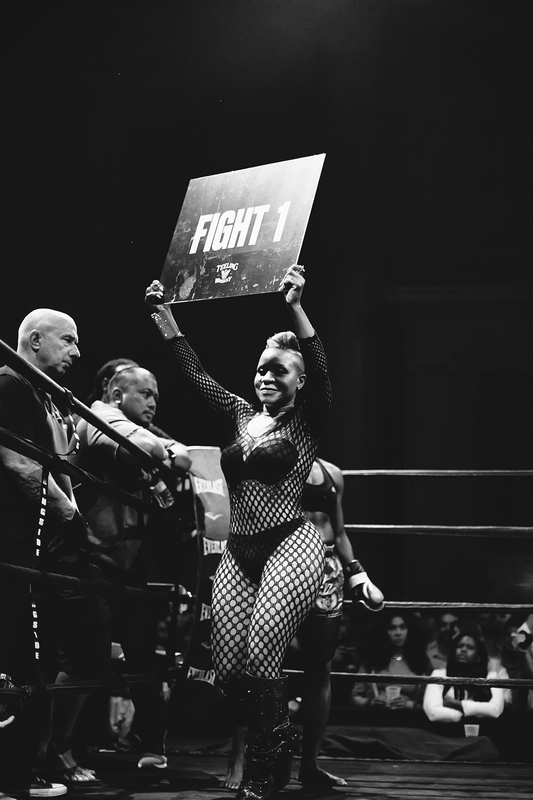 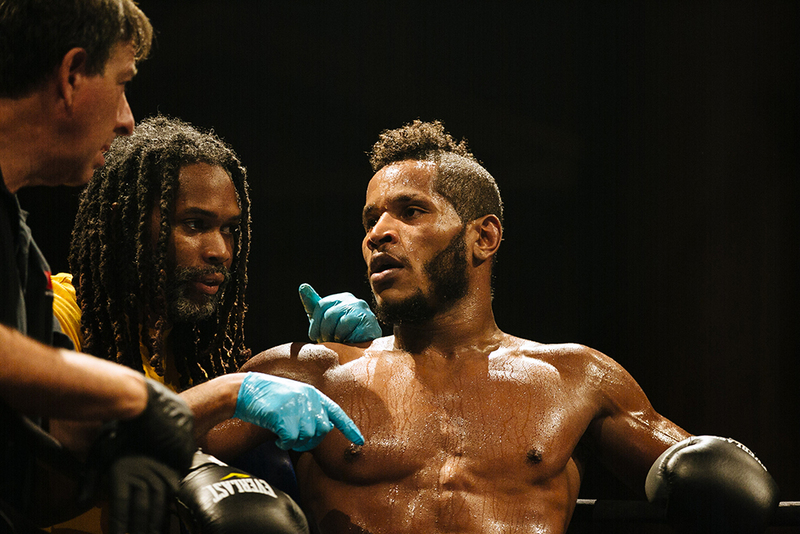 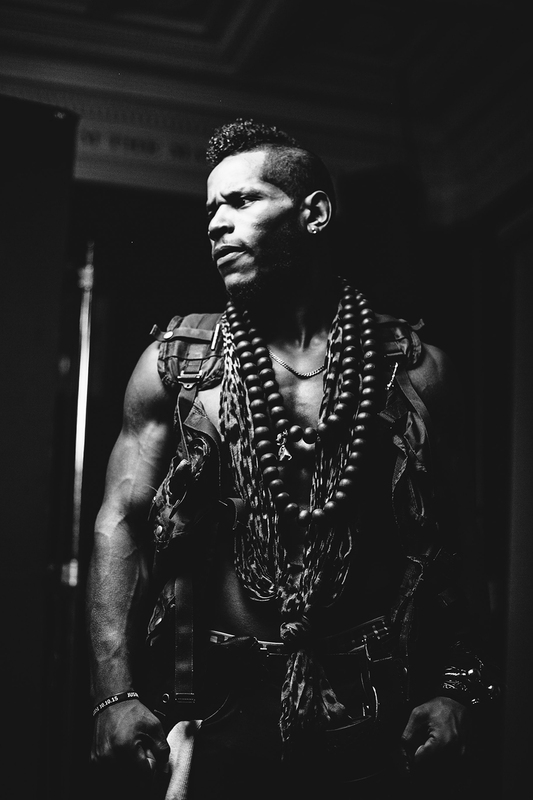 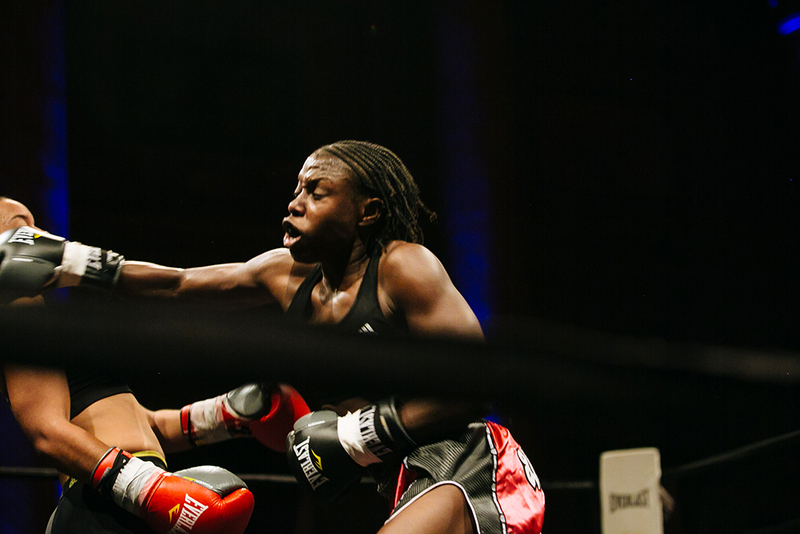 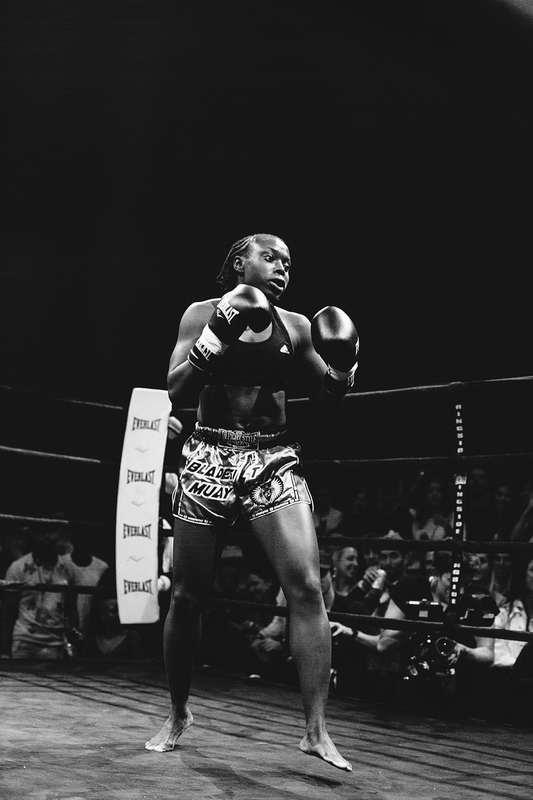 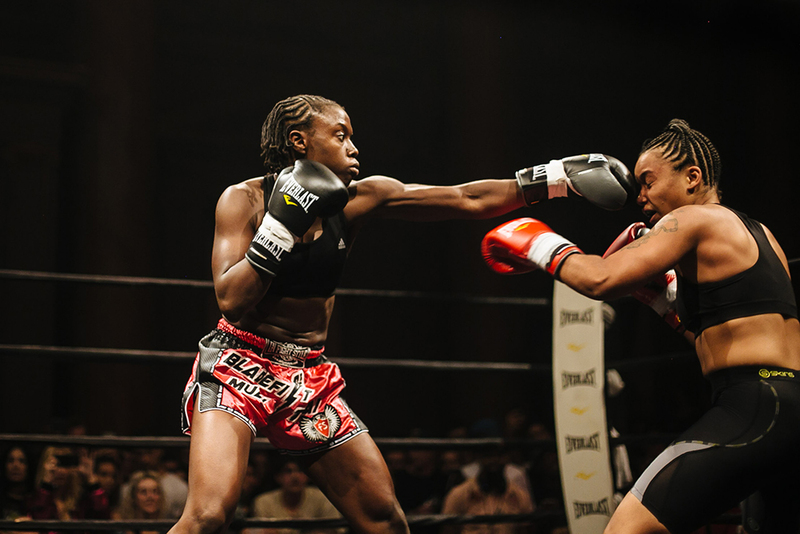 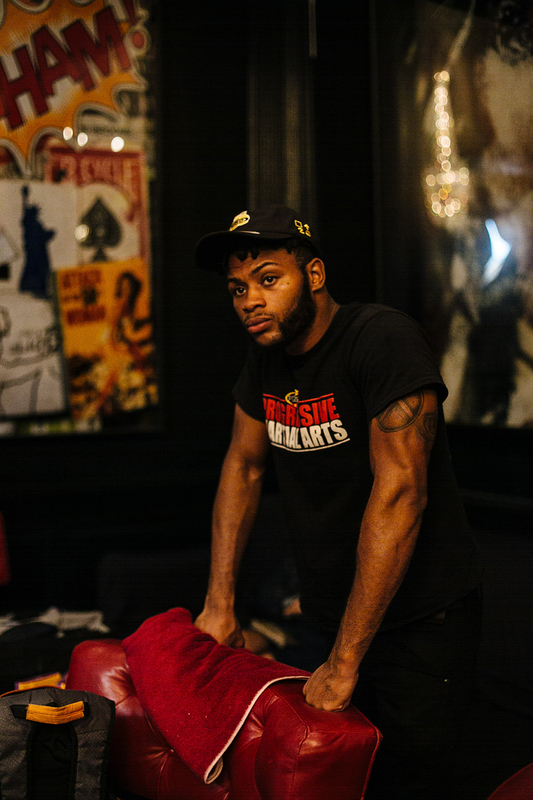 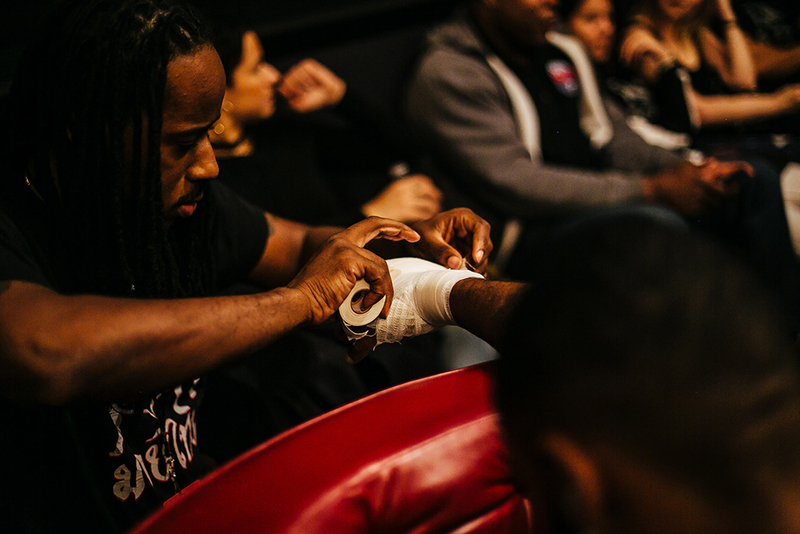 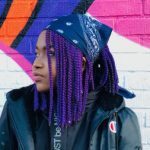 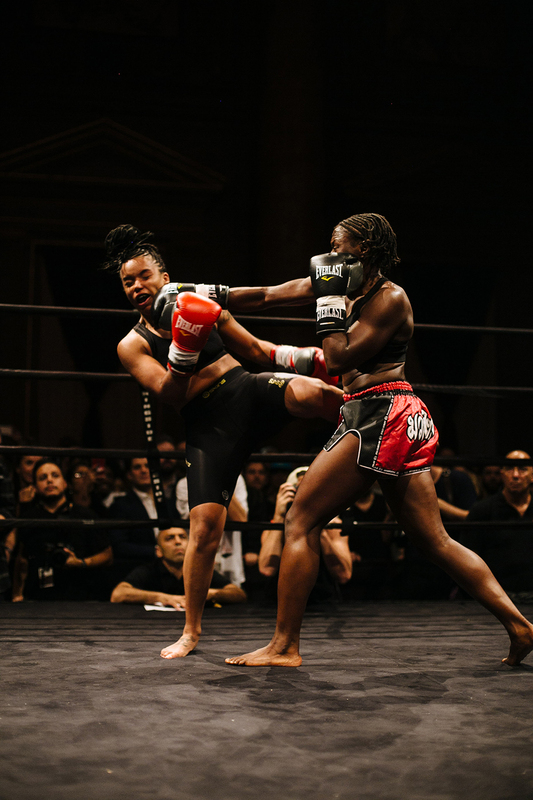 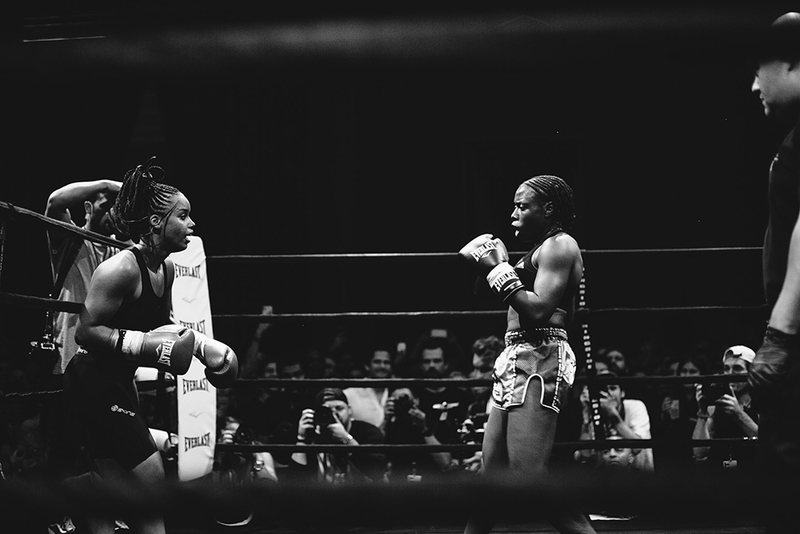 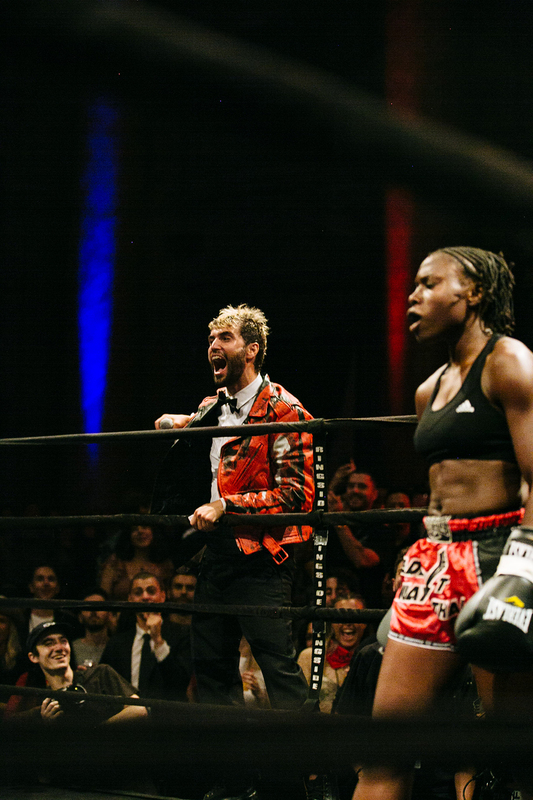 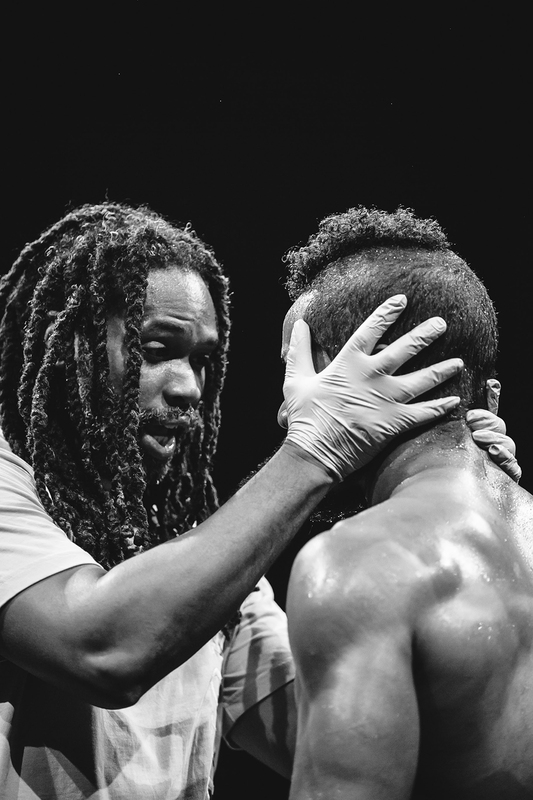 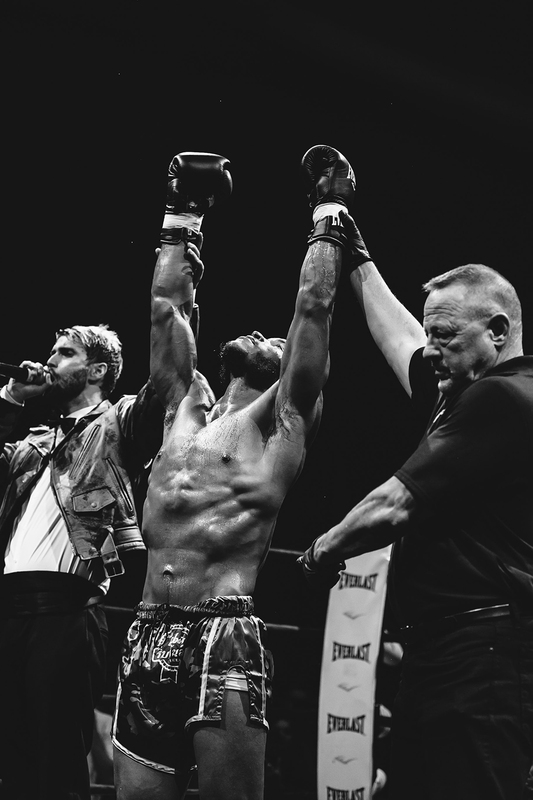 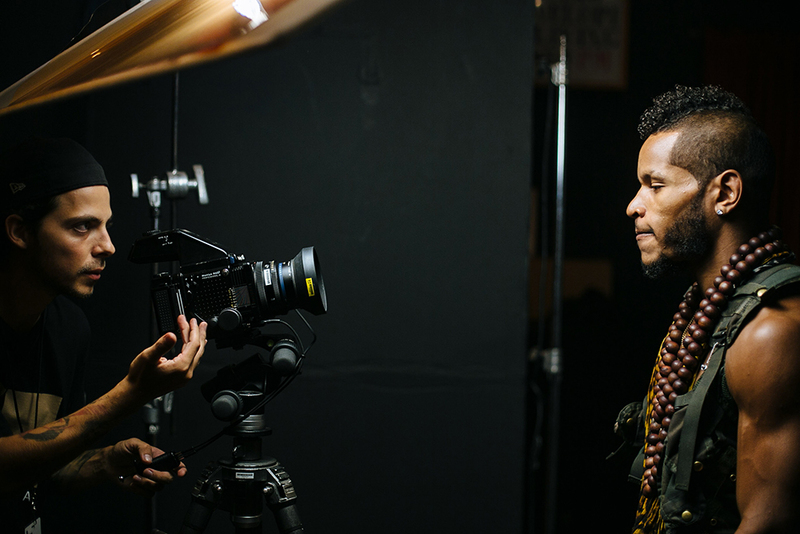 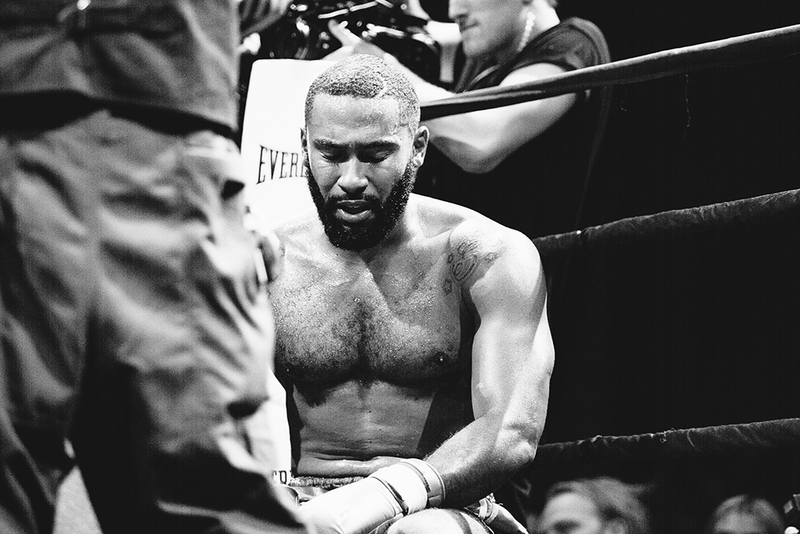 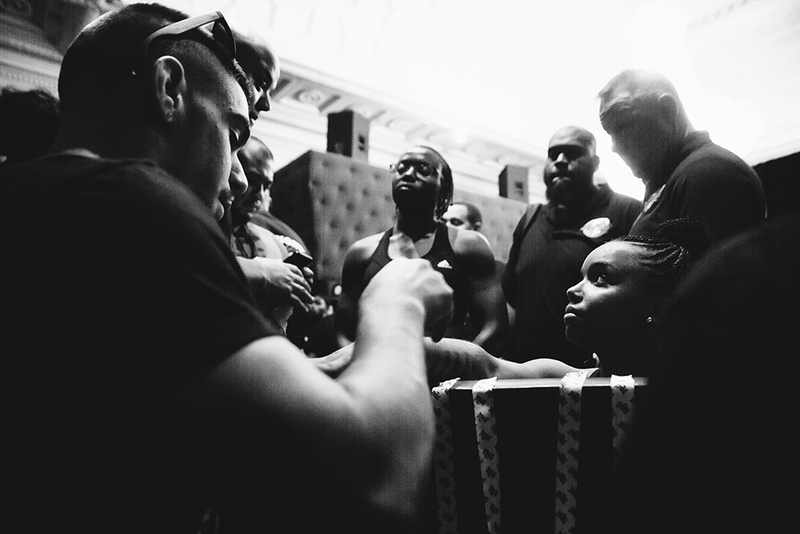 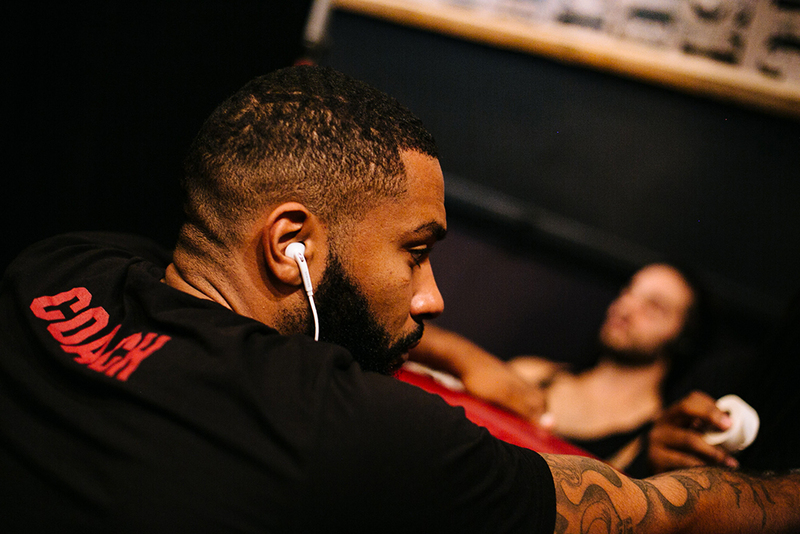 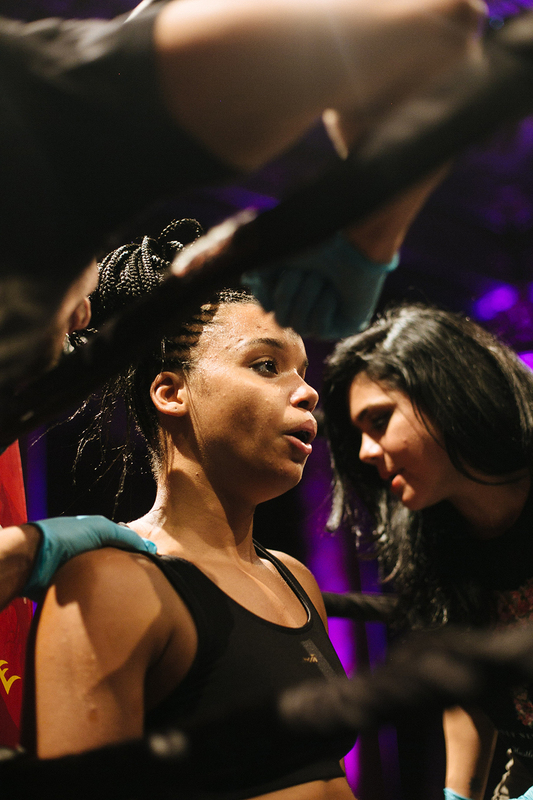 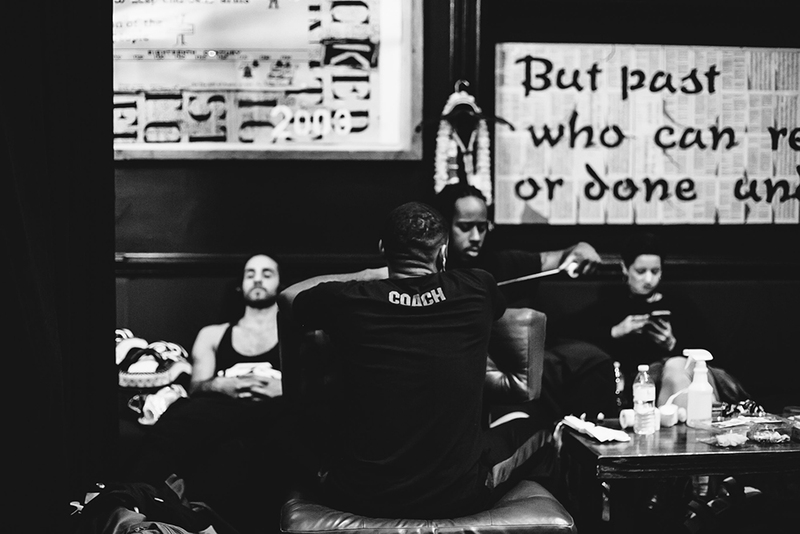 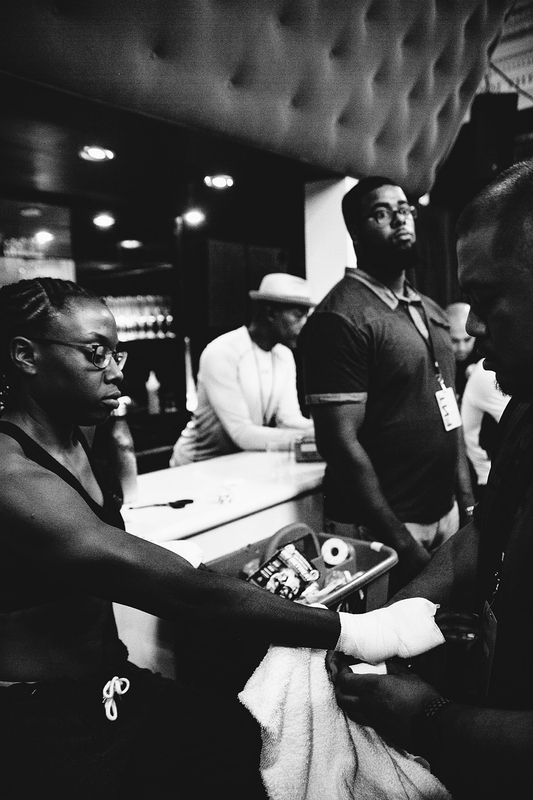 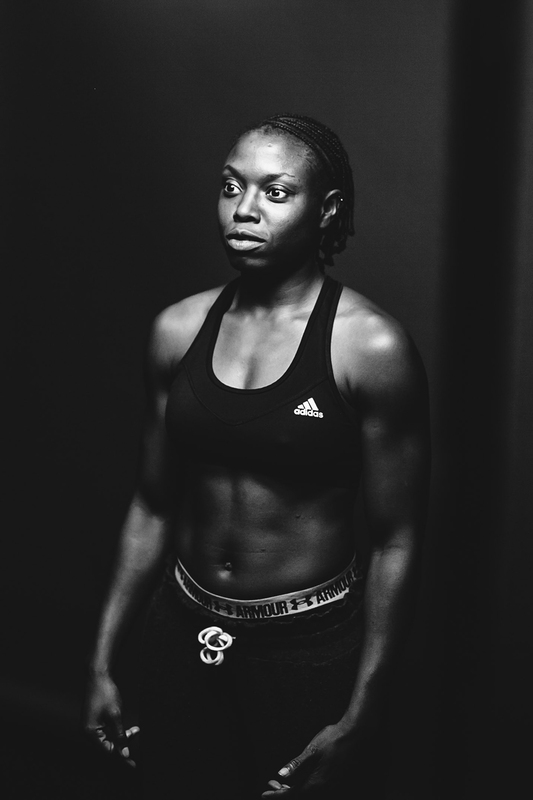 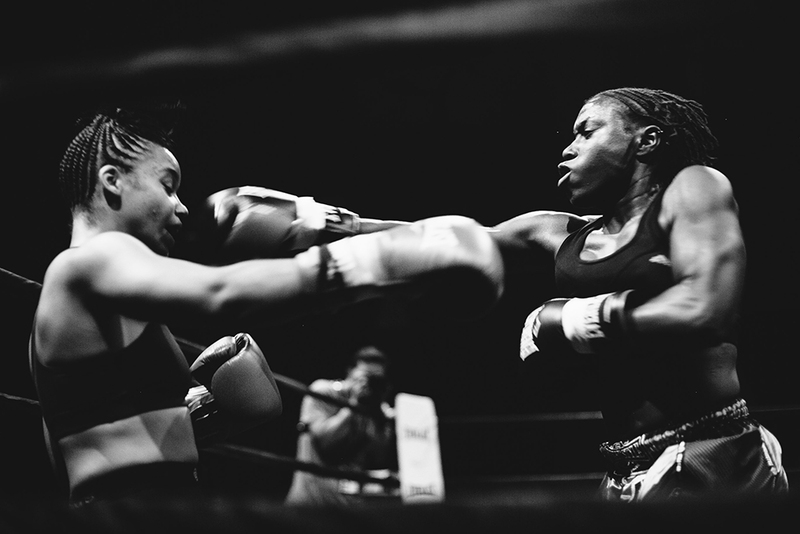 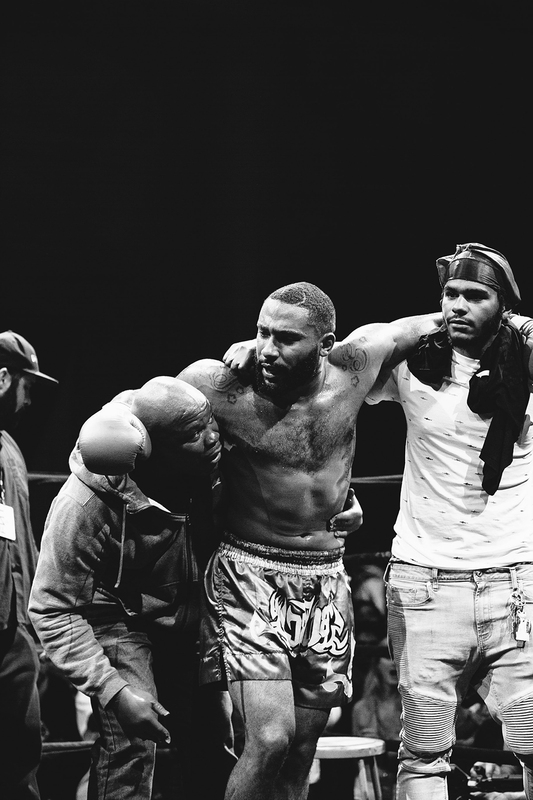 The Brooklyn-bred creative aims to broaden the way we watch fighting from a sista’s perspective. 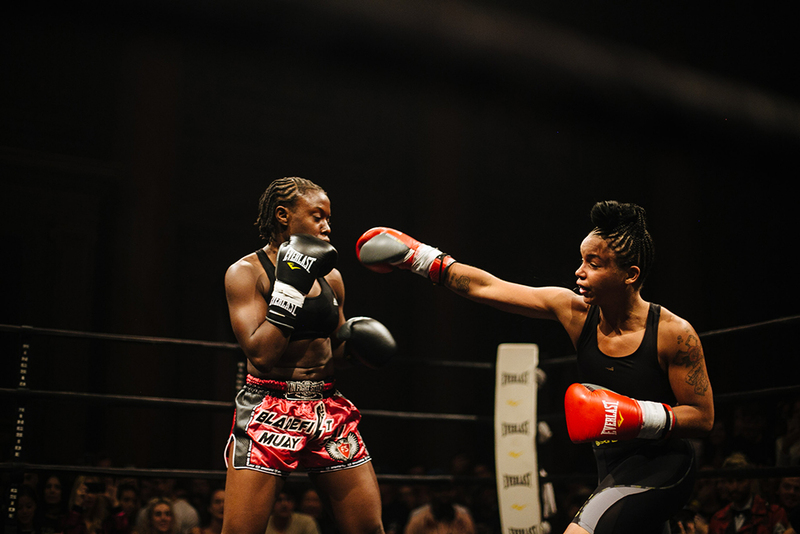 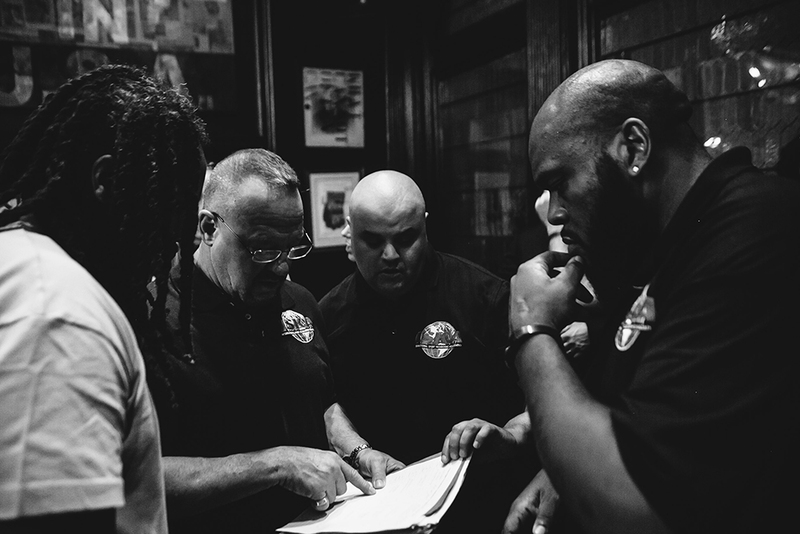 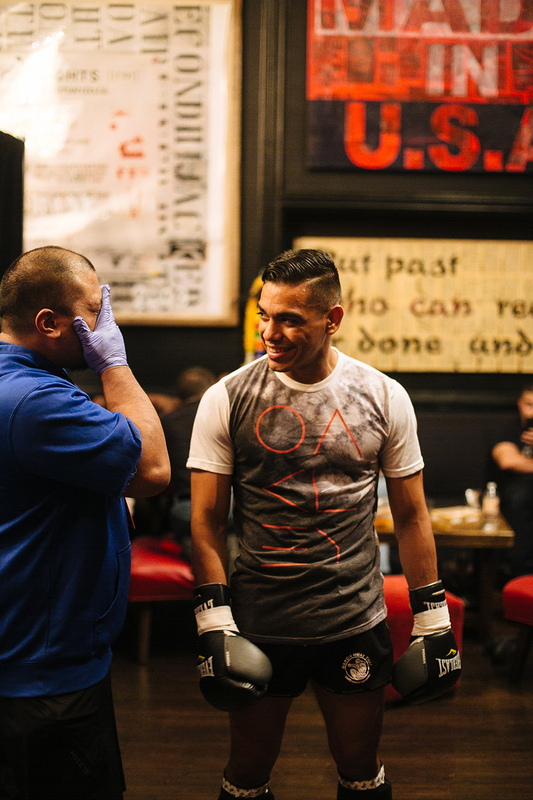 From MMA, to boxing and everything in between, shorty is on the scene. 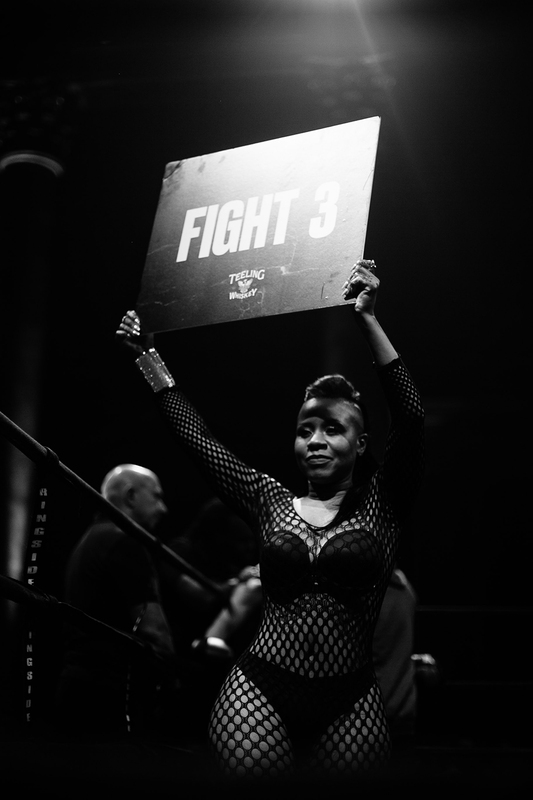 Follow her journey from cageside at @goldyngrrl.